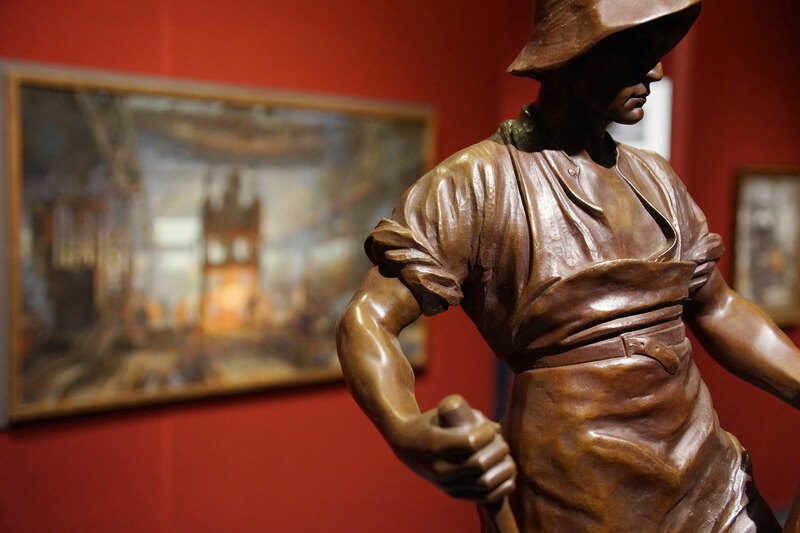 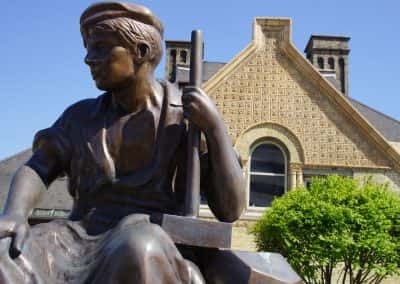 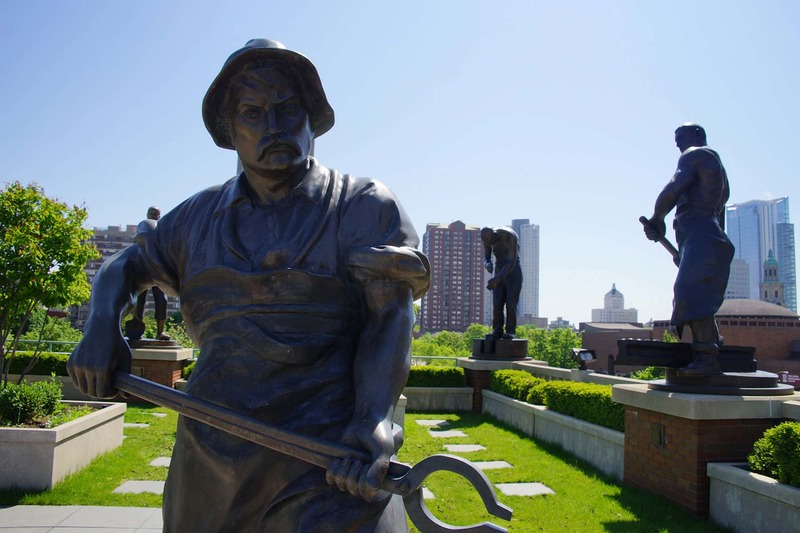 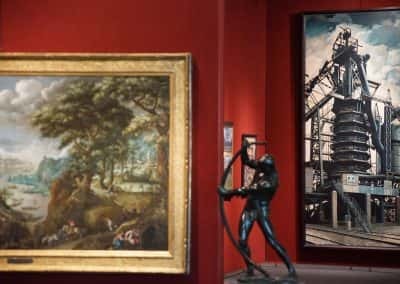 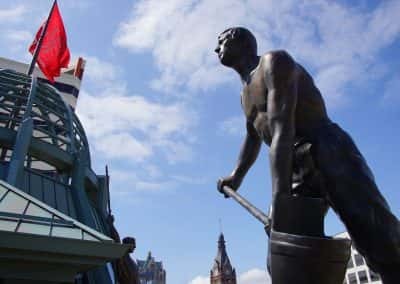 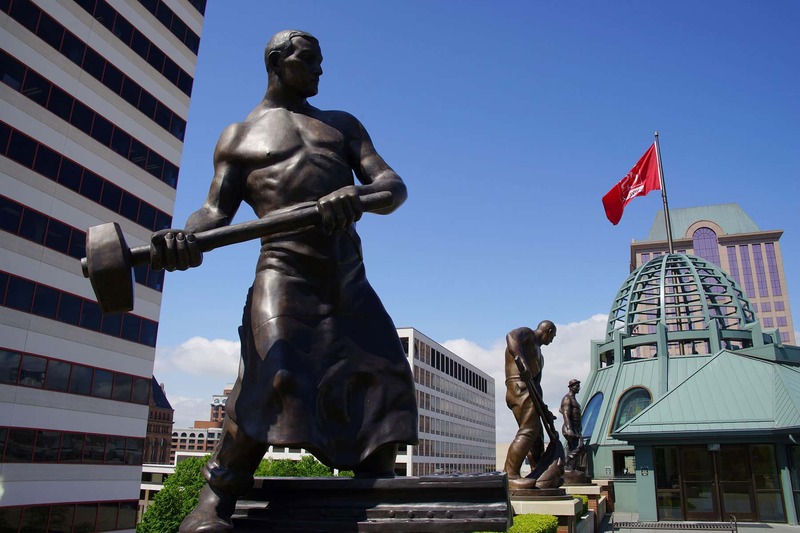 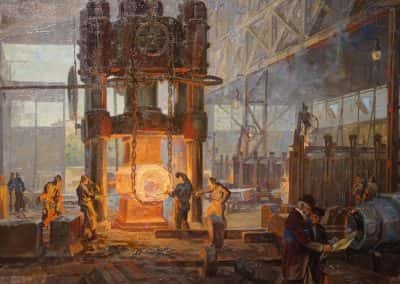 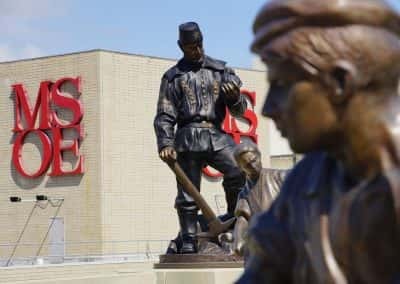 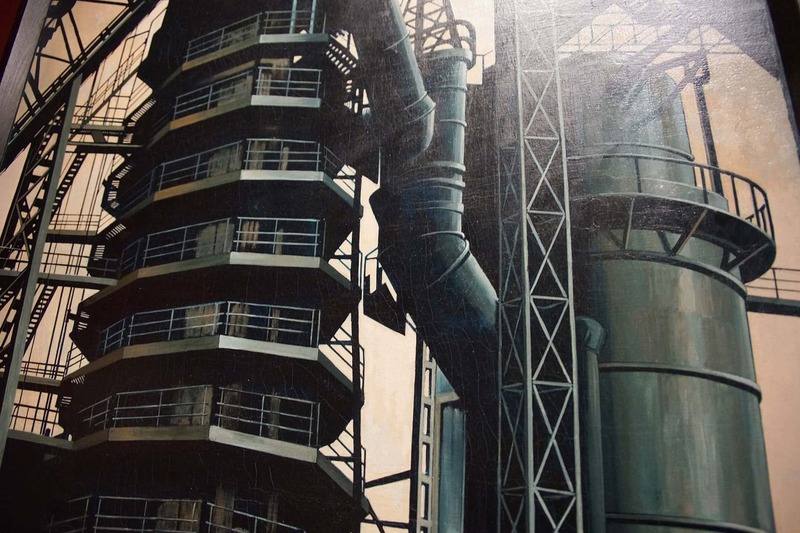 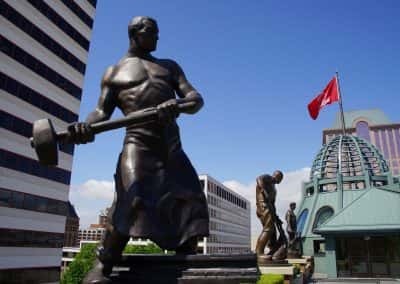 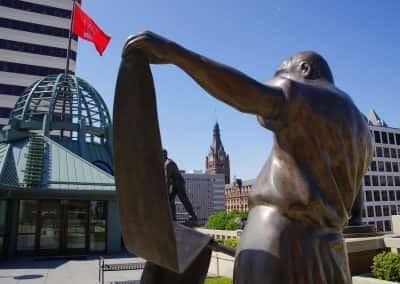 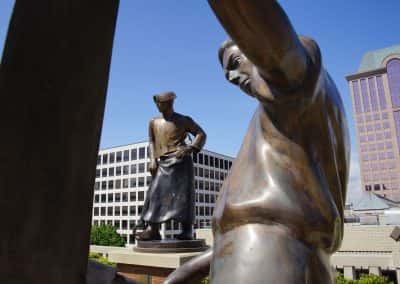 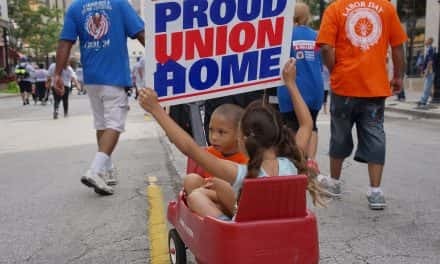 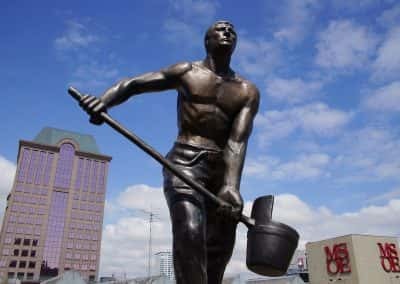 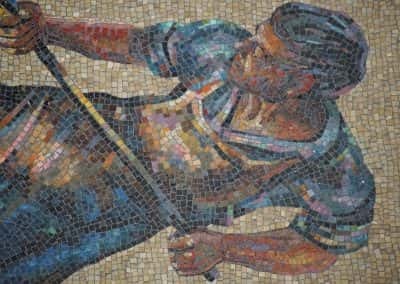 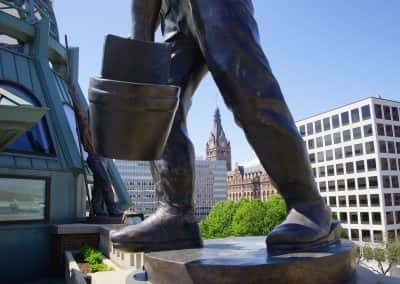 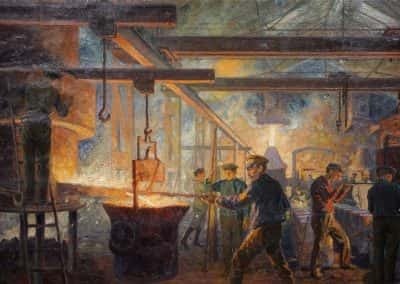 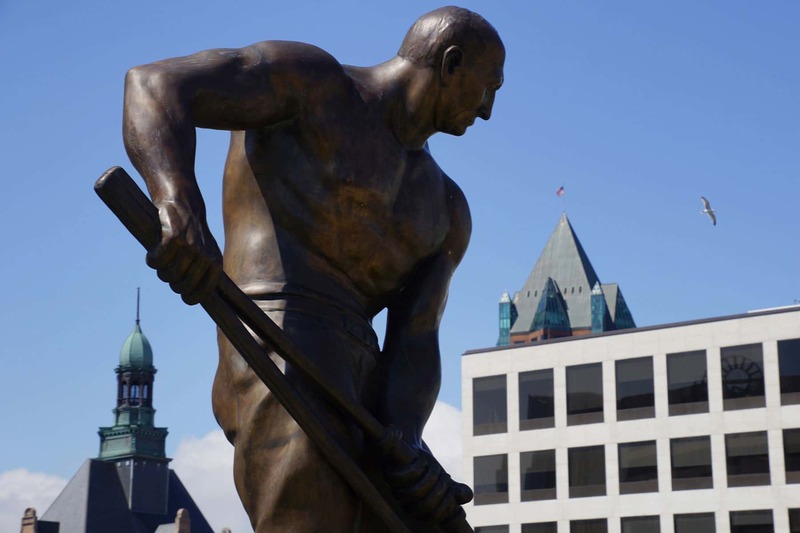 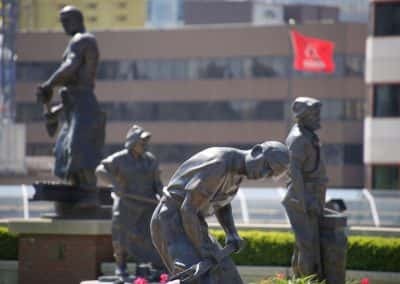 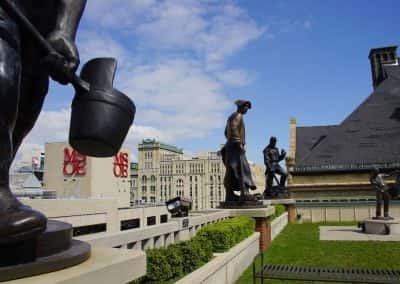 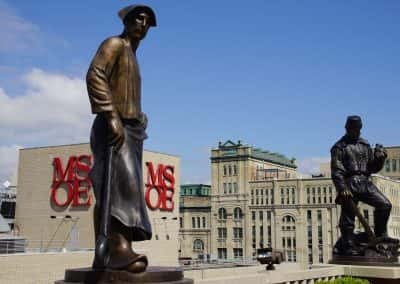 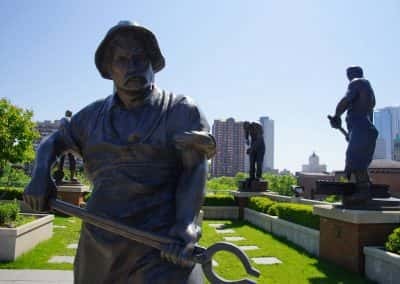 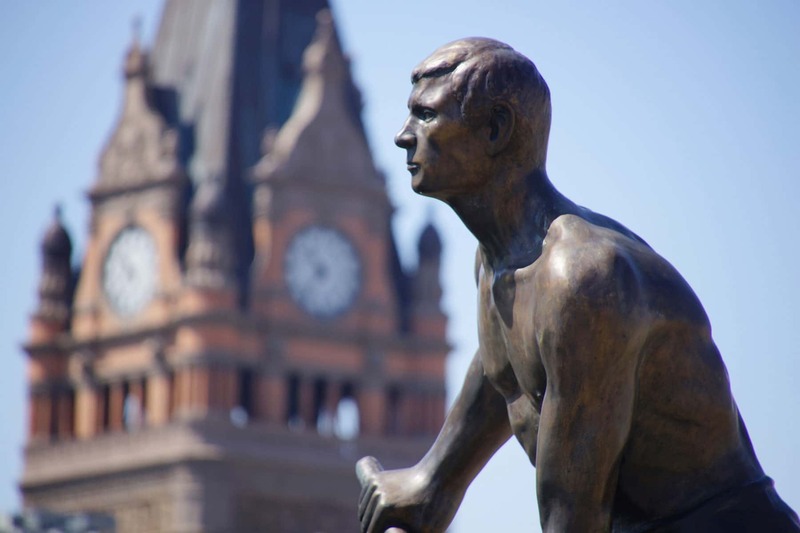 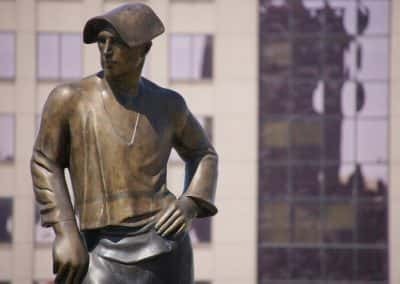 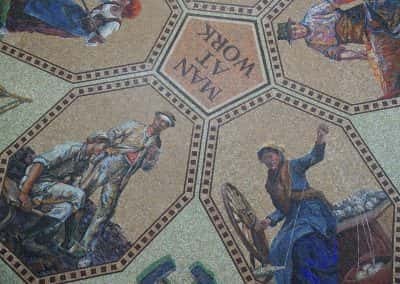 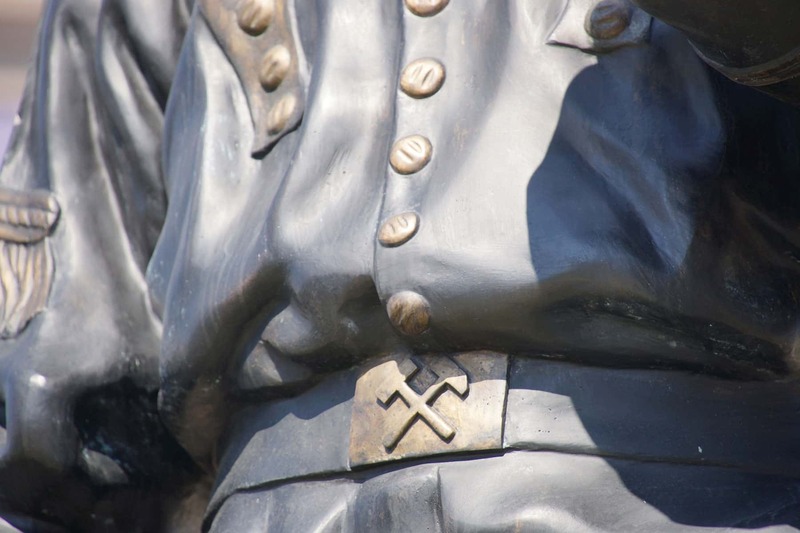 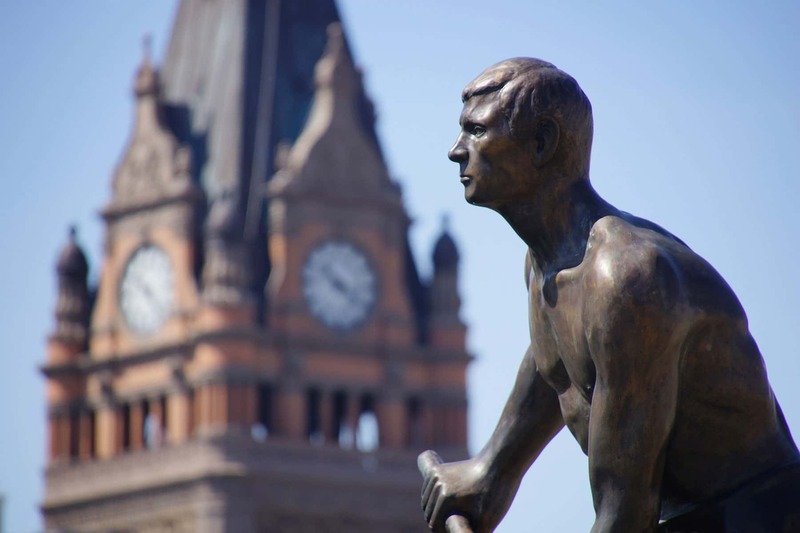 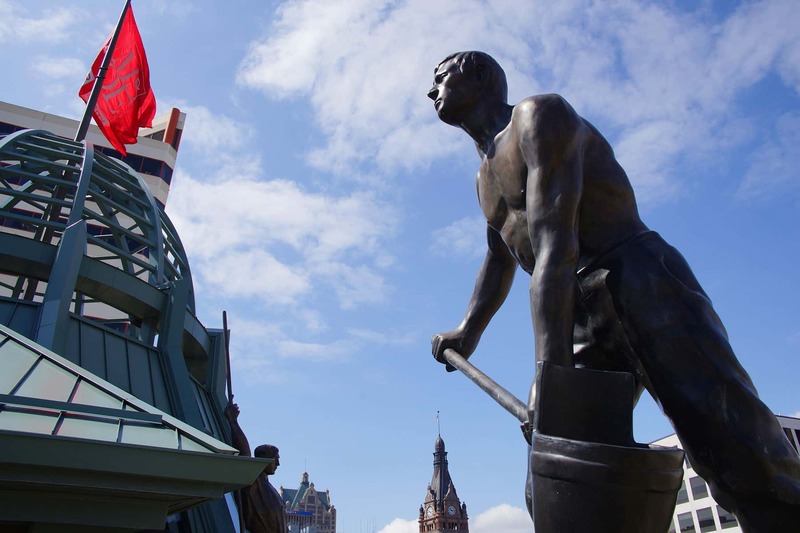 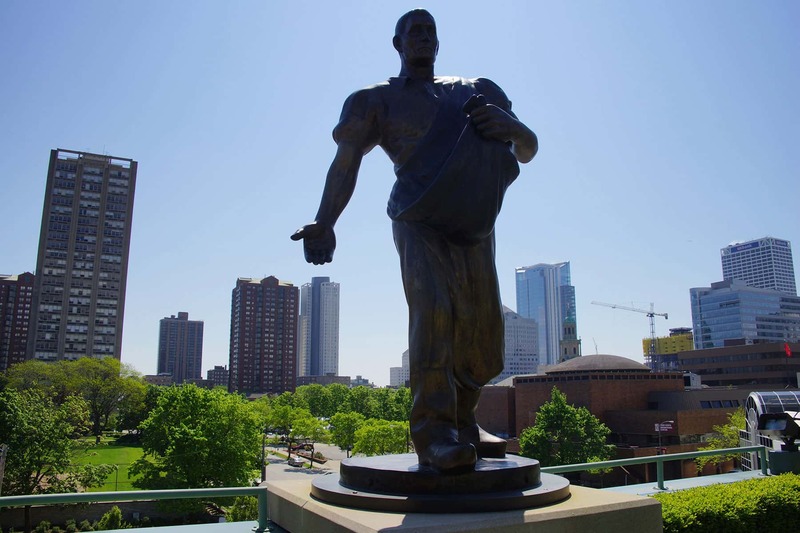 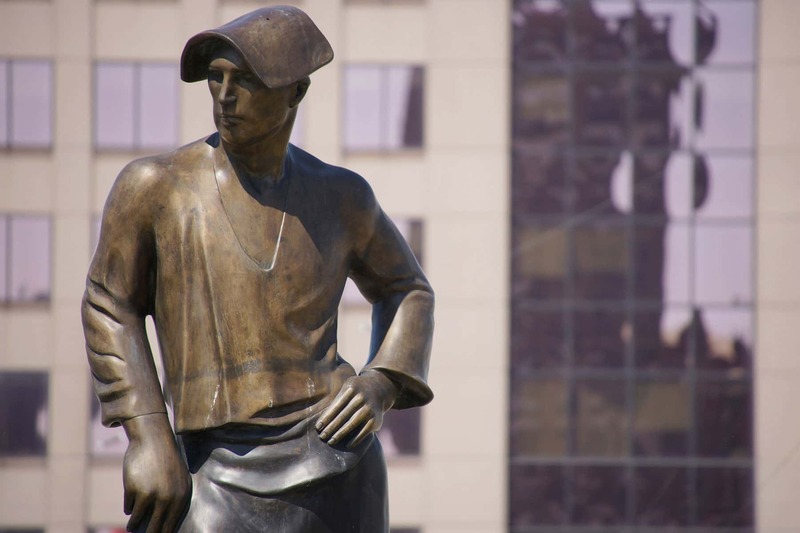 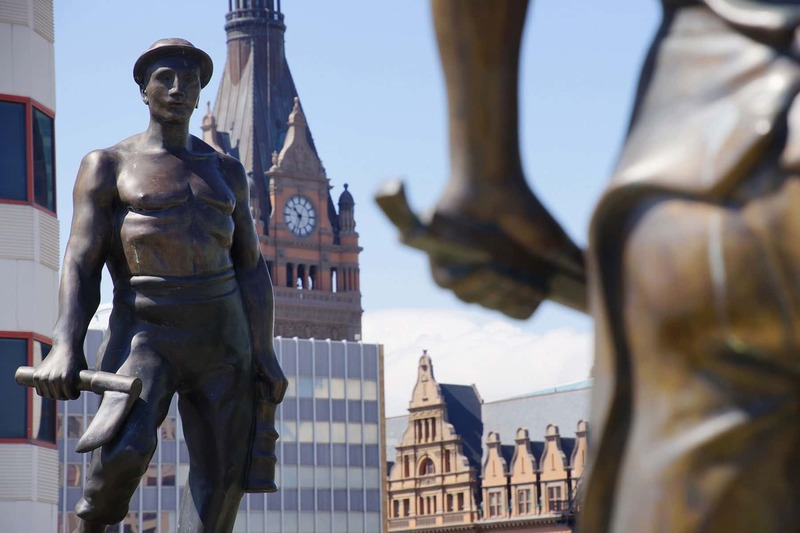 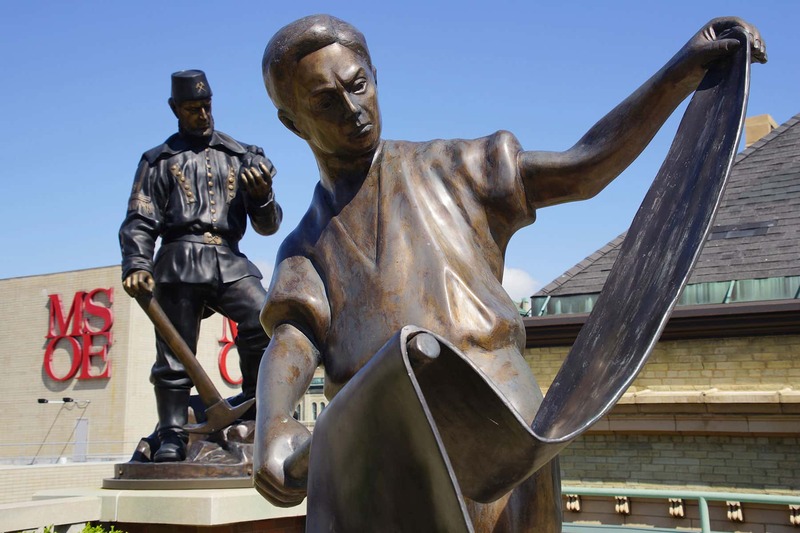 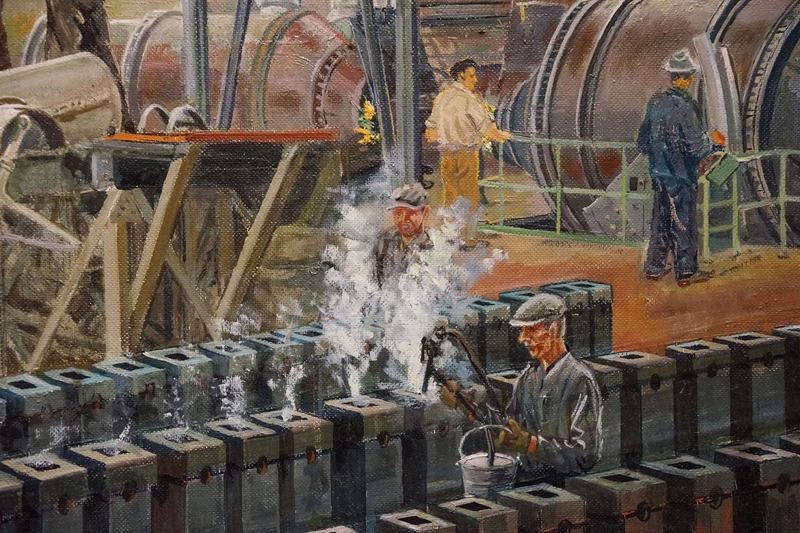 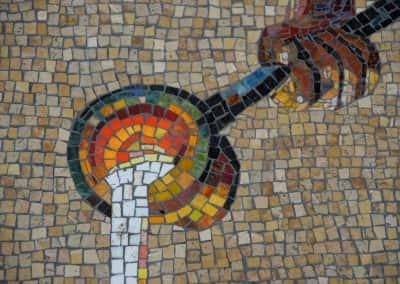 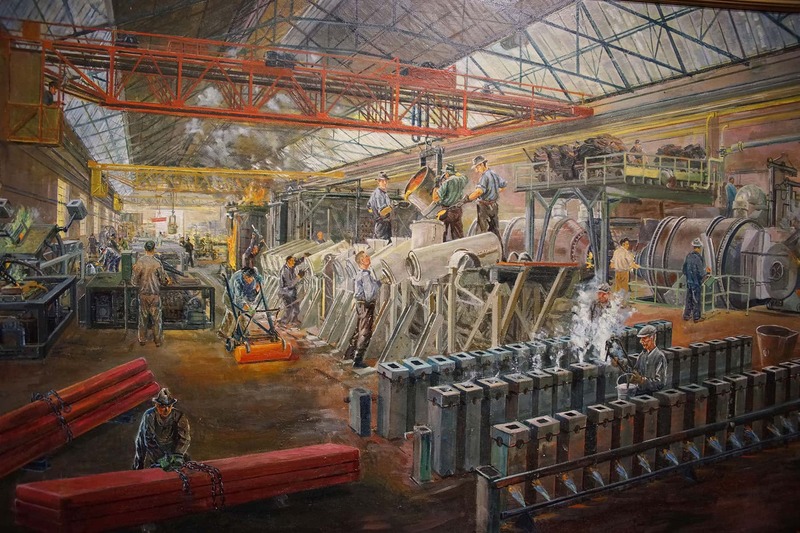 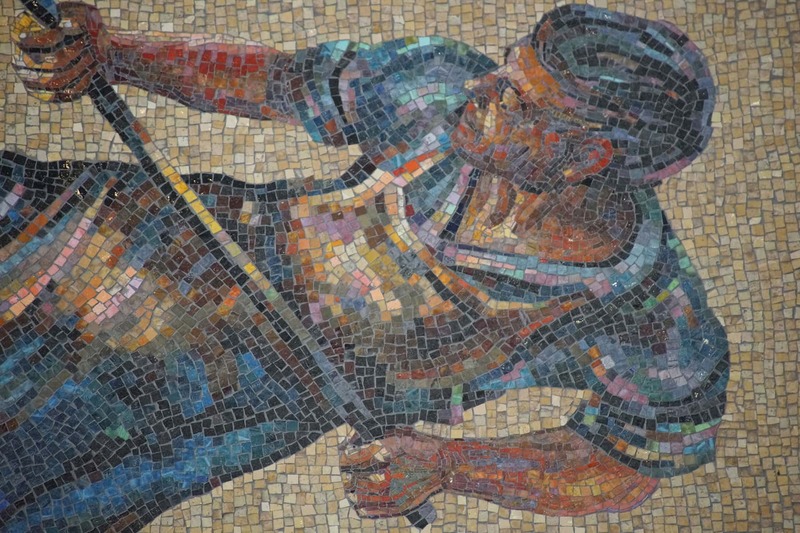 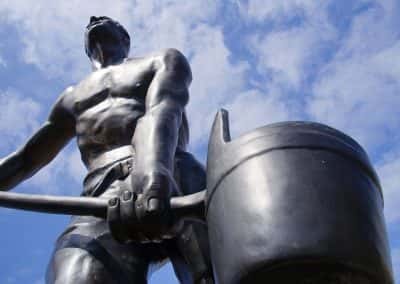 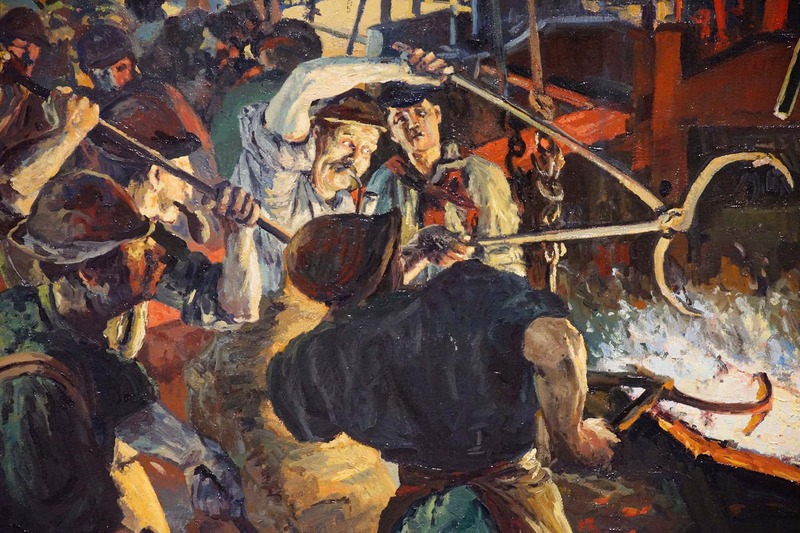 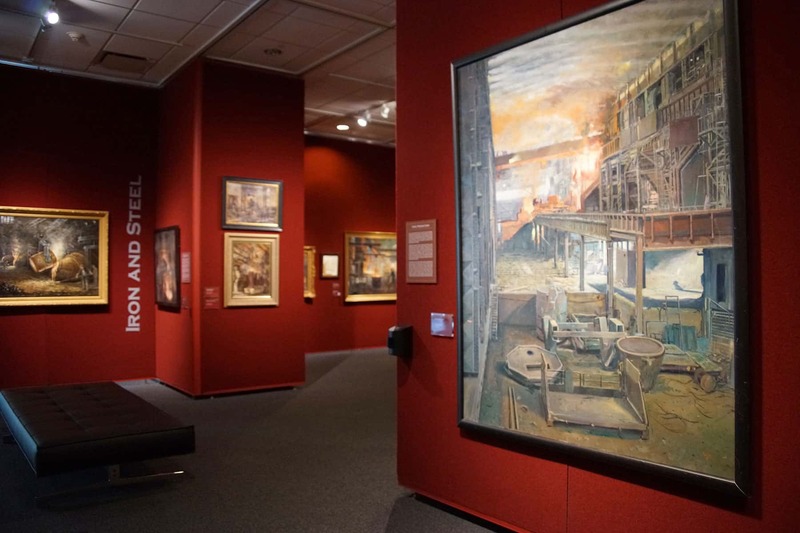 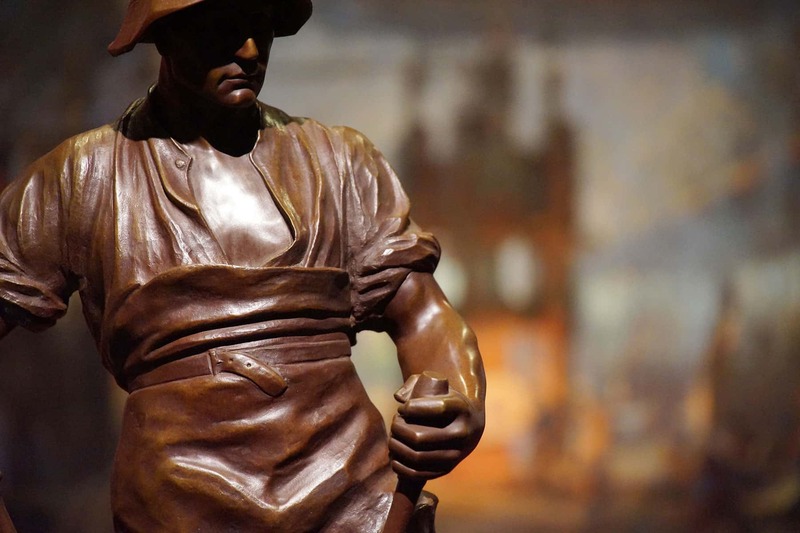 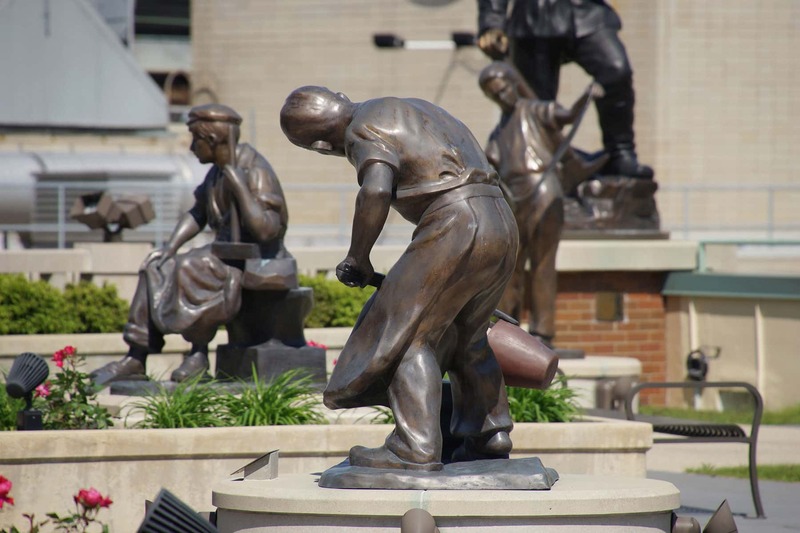 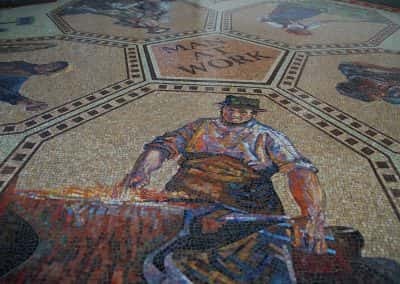 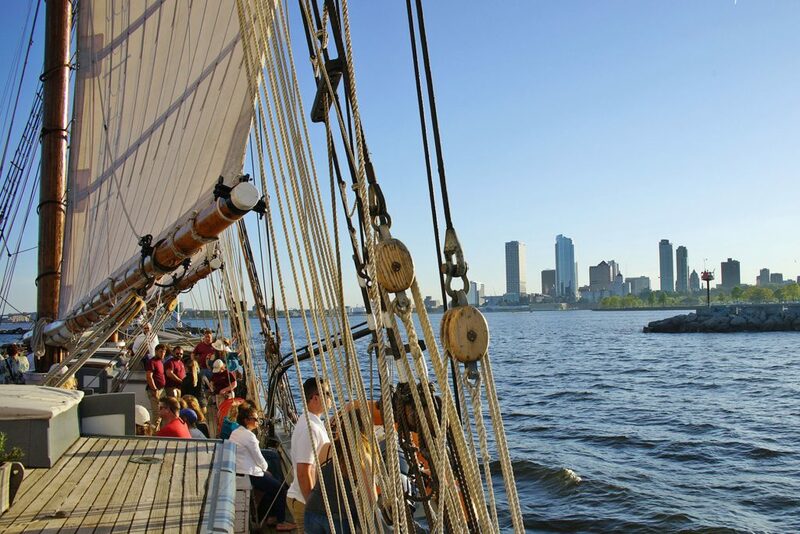 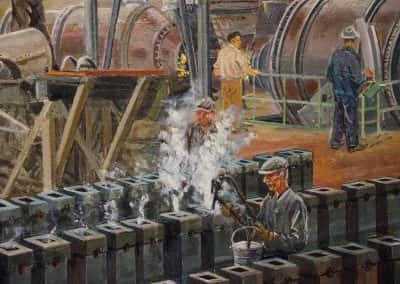 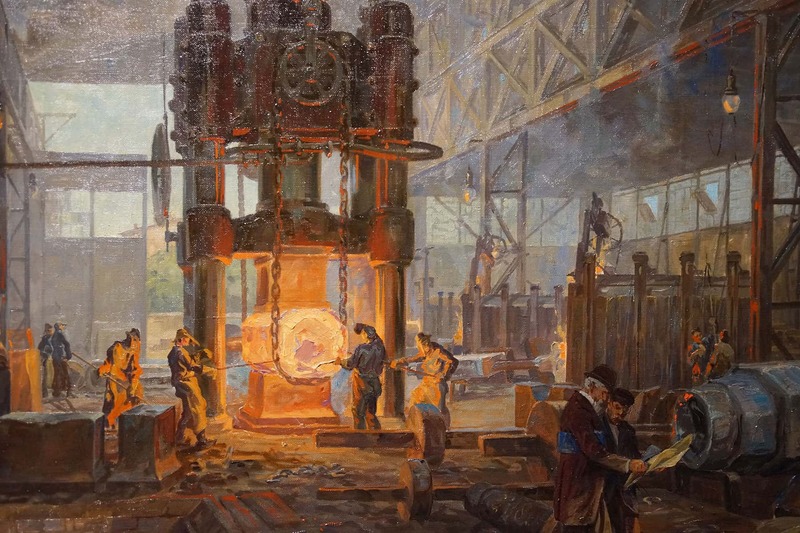 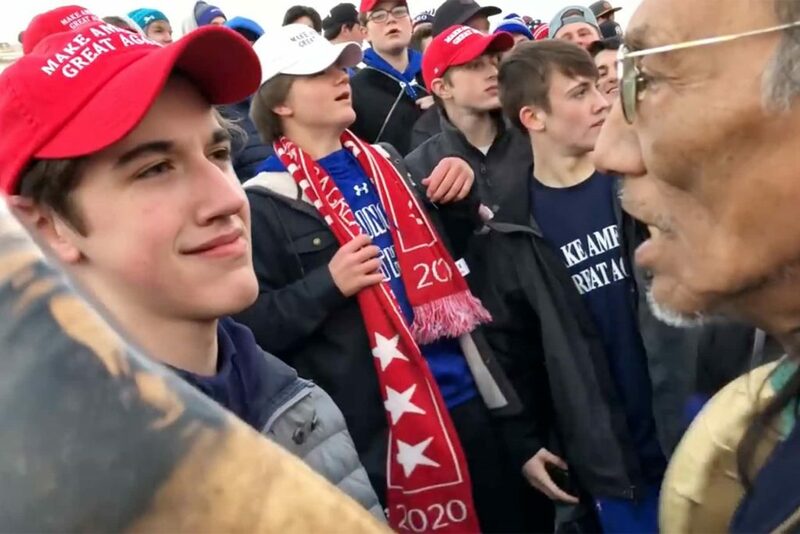 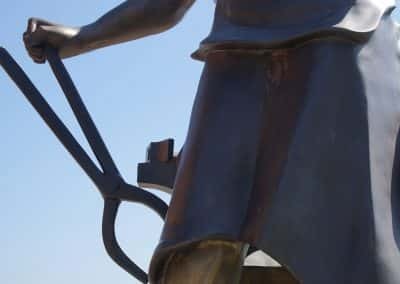 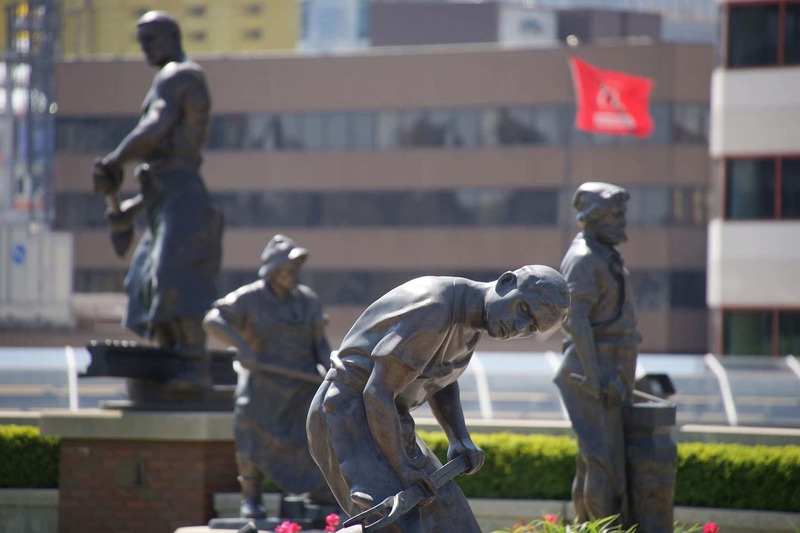 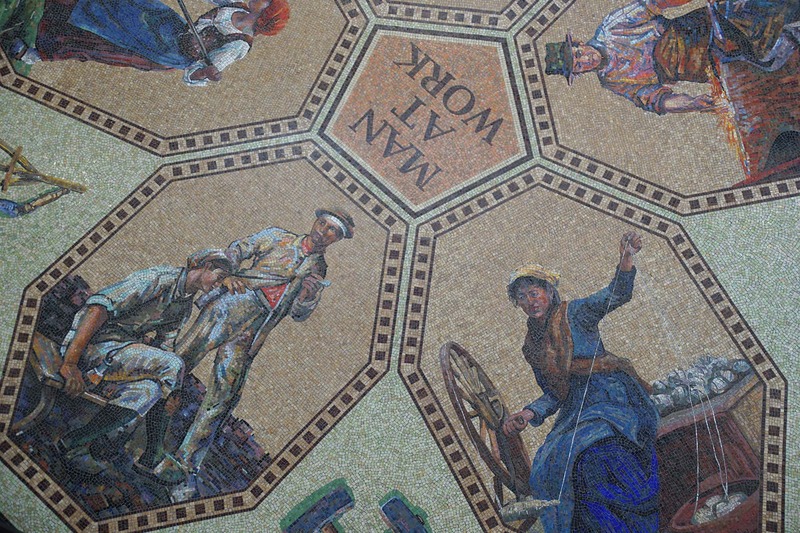 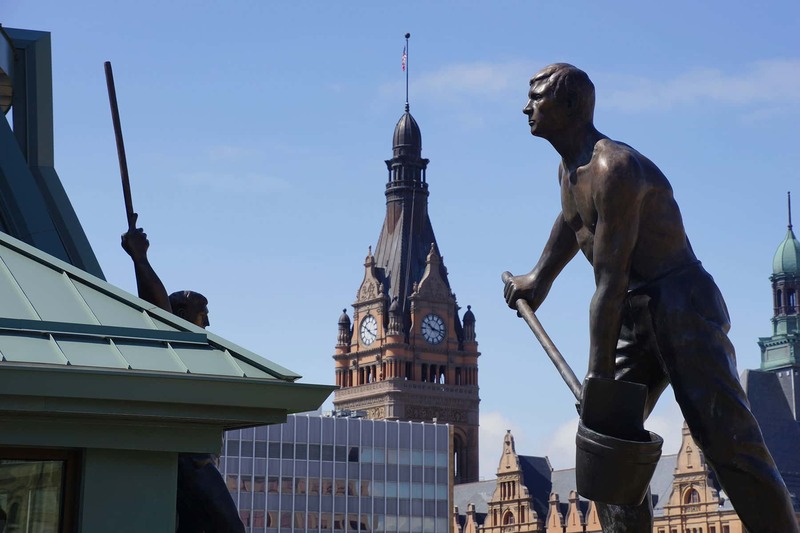 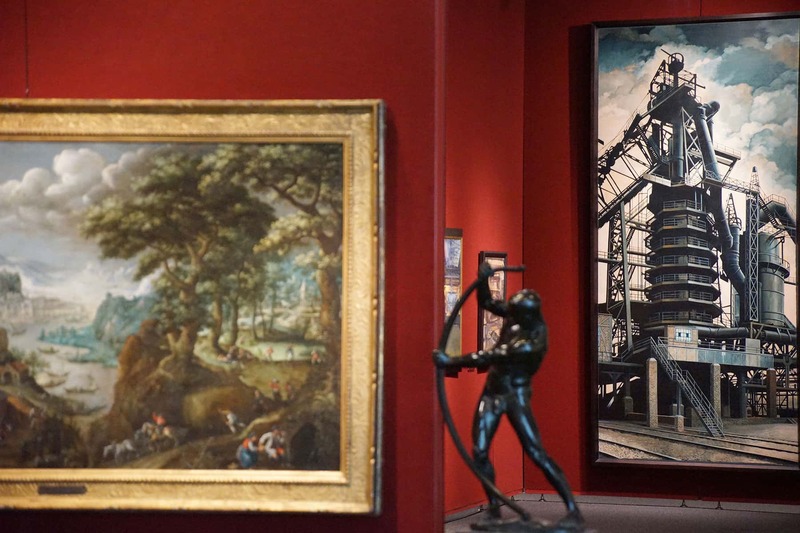 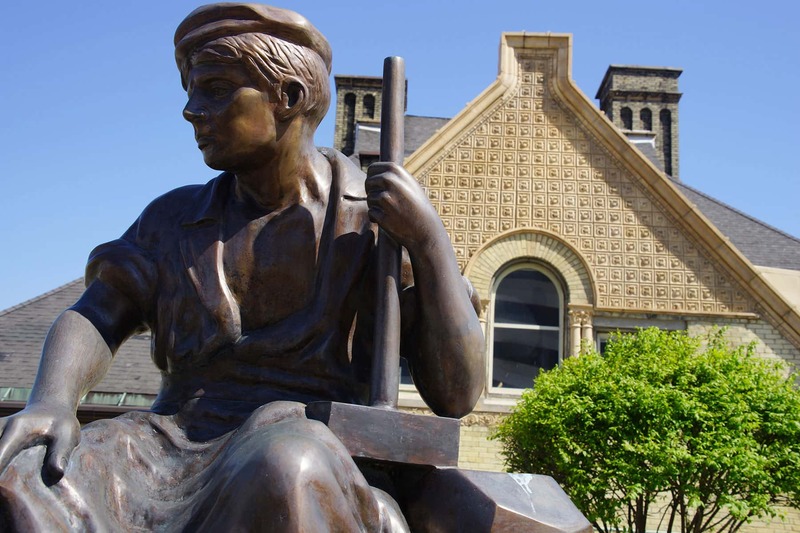 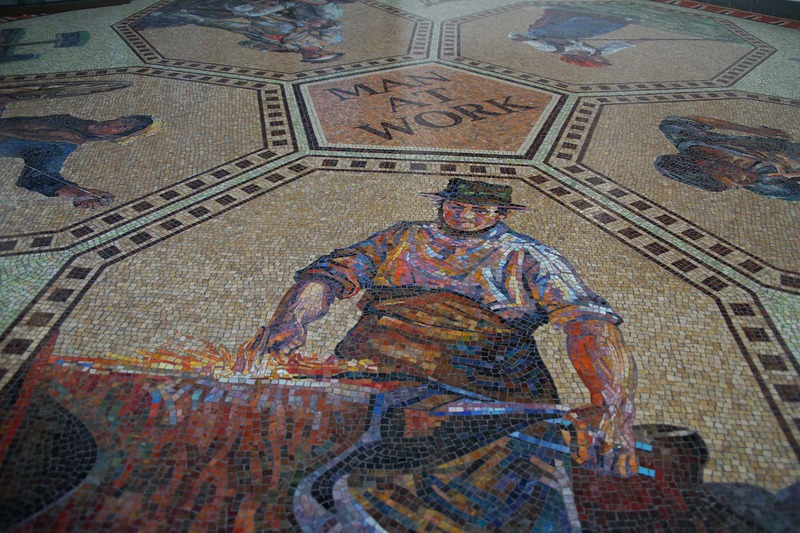 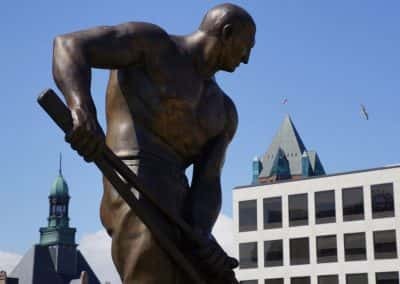 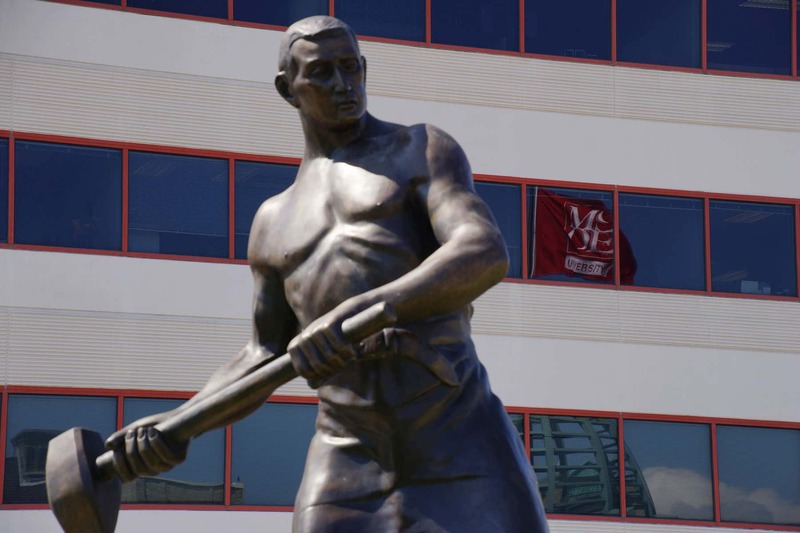 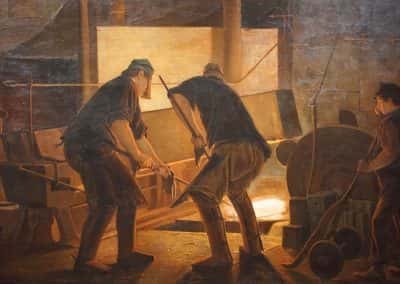 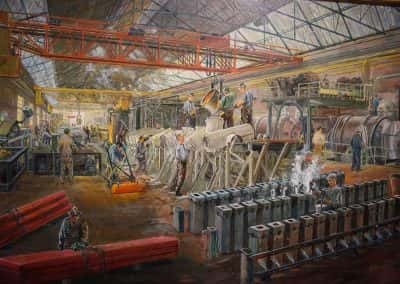 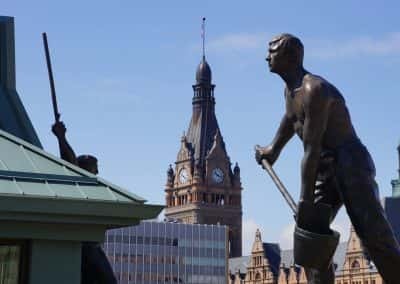 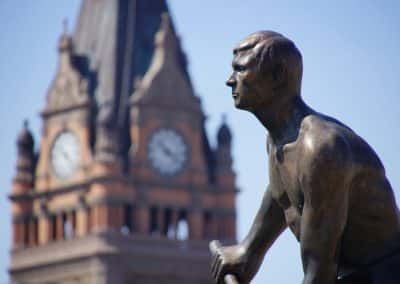 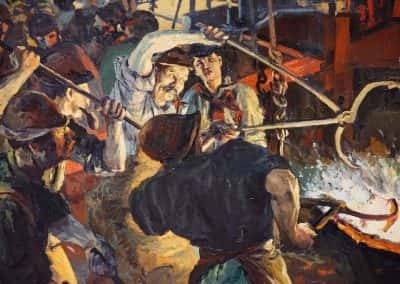 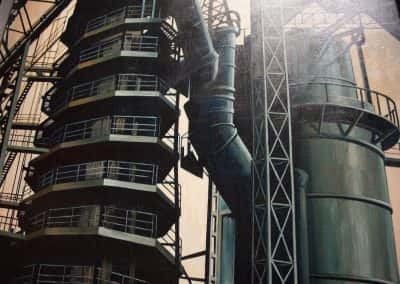 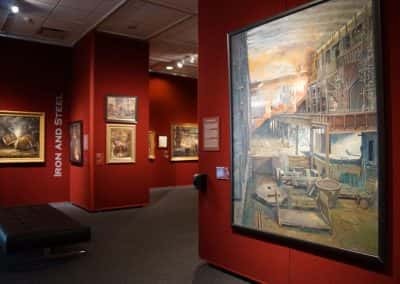 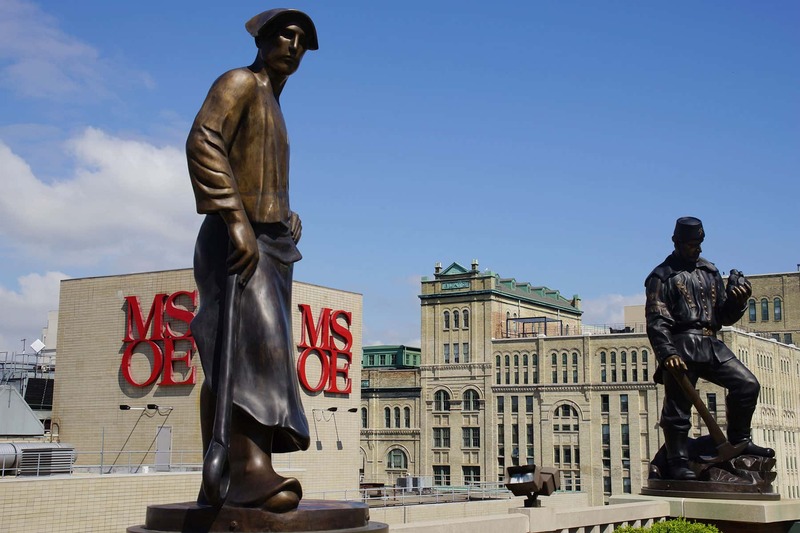 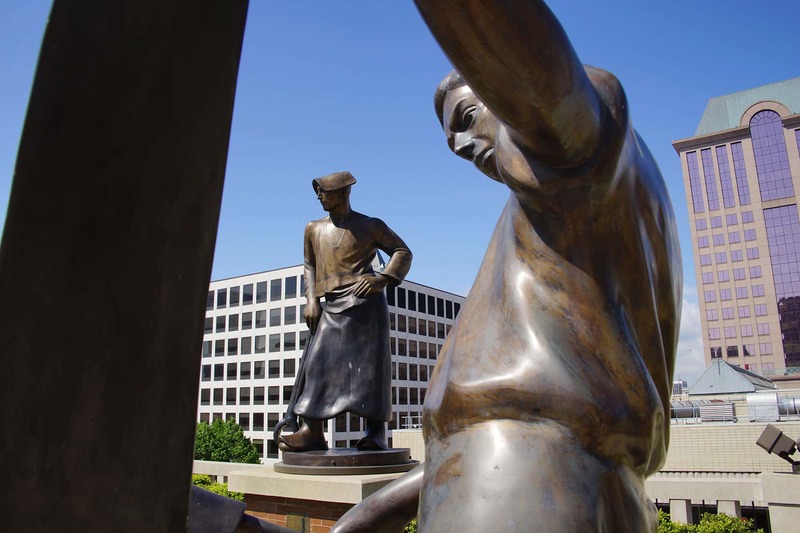 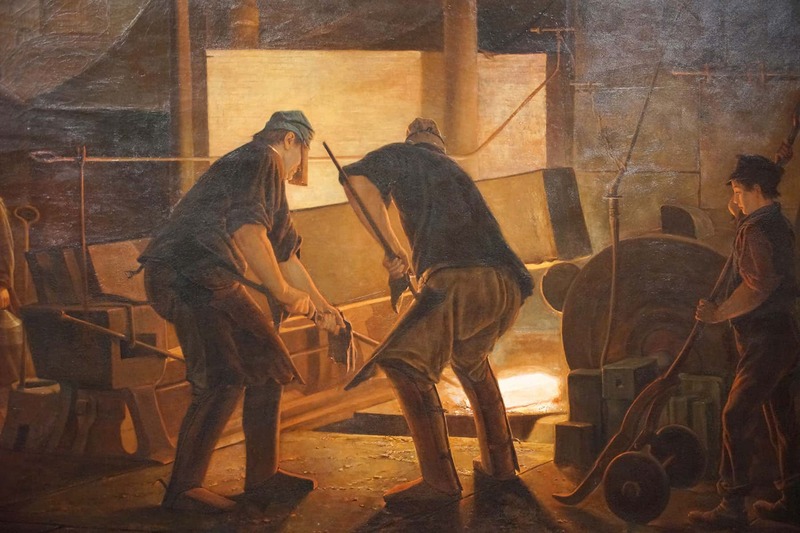 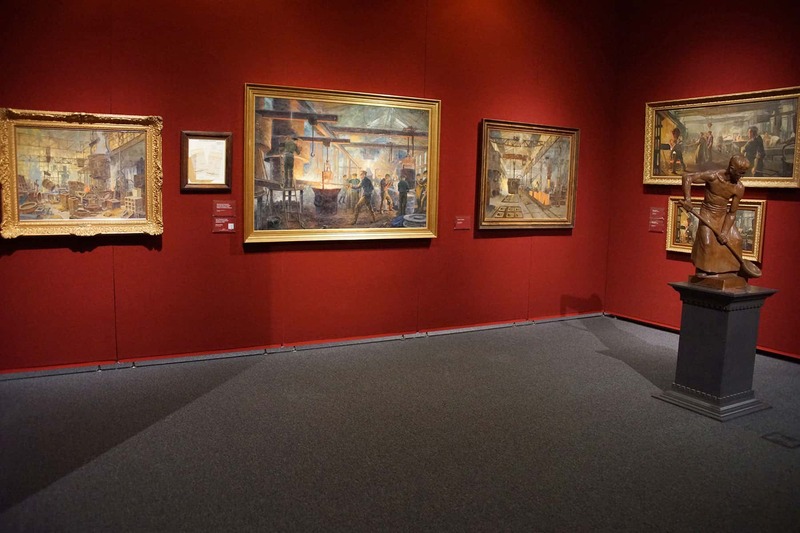 Men toiling in the field and foundry, heaving hammers or pinching molten metal with hot tongs, immortalize the age of industry that built Milwaukee. 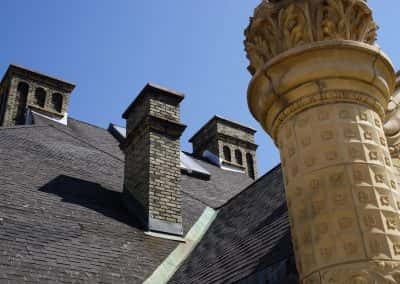 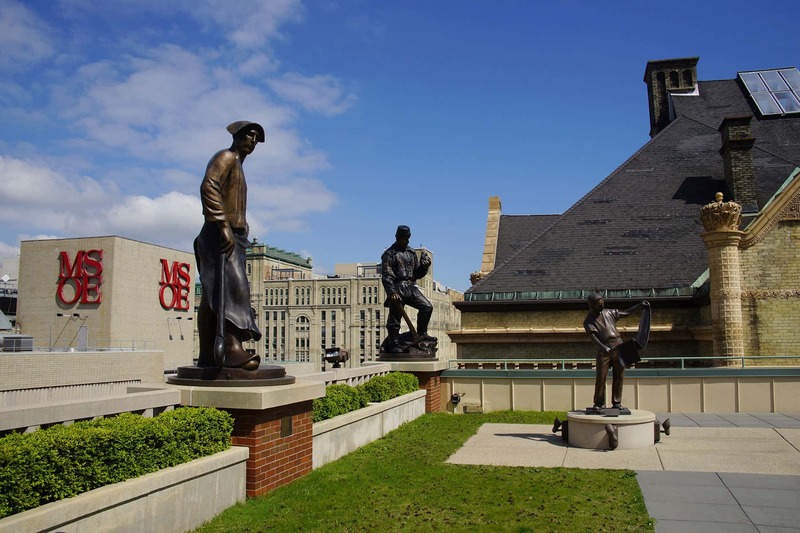 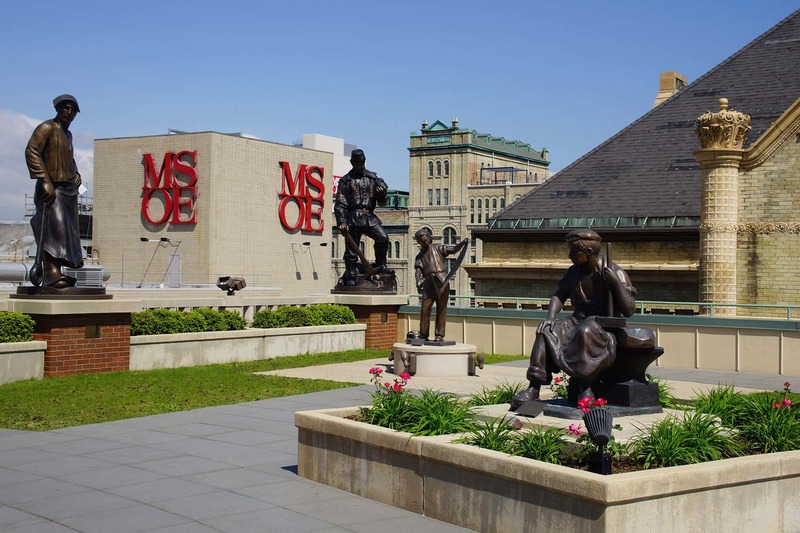 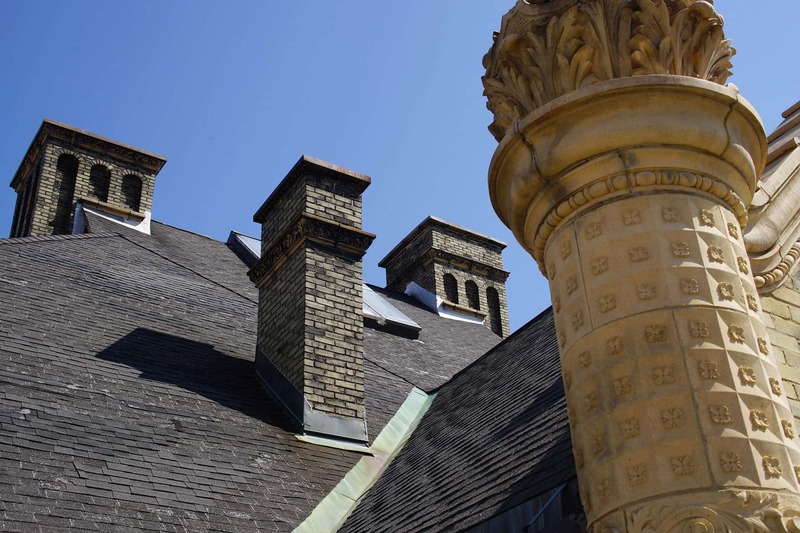 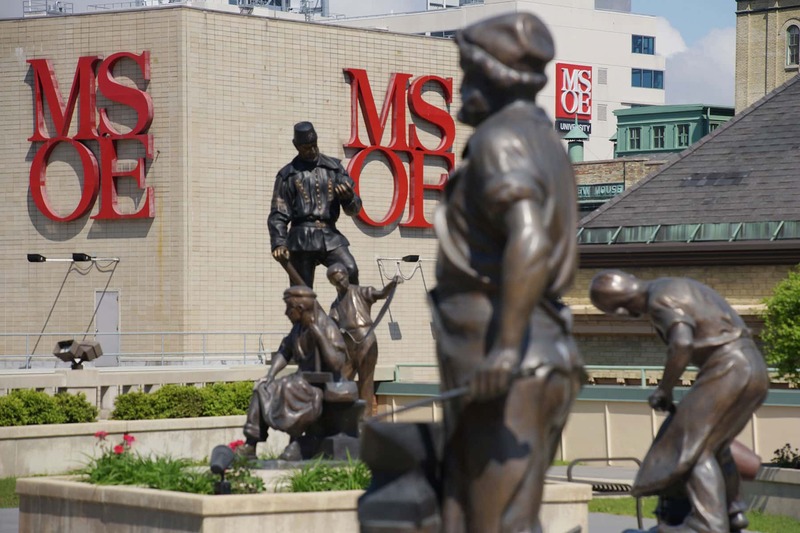 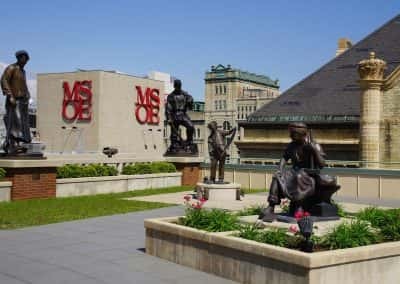 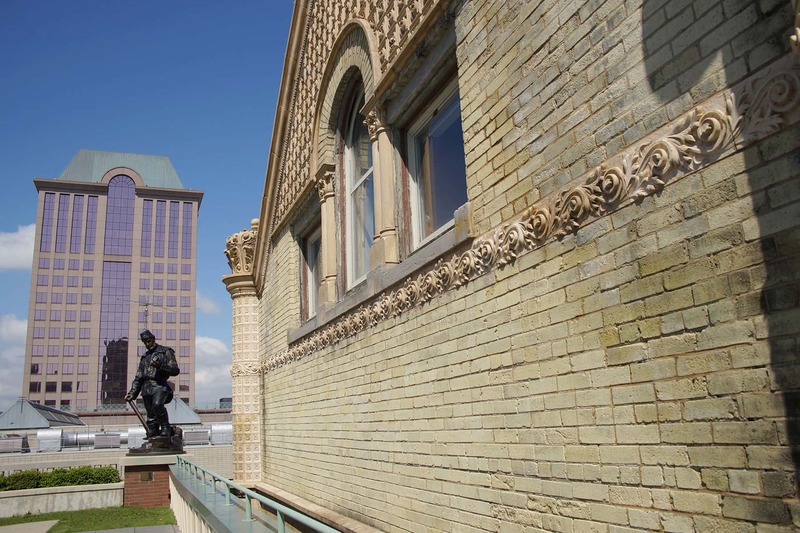 Cast in bronze, the sculptures perch on the roofline of the Grohmann Museum on the campus of the Milwaukee School of Engineering (MSOE), frozen in their moment of labor. 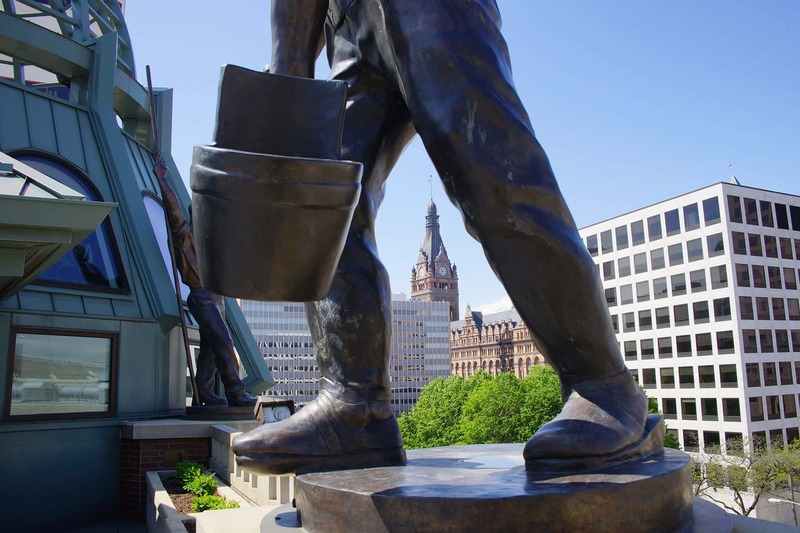 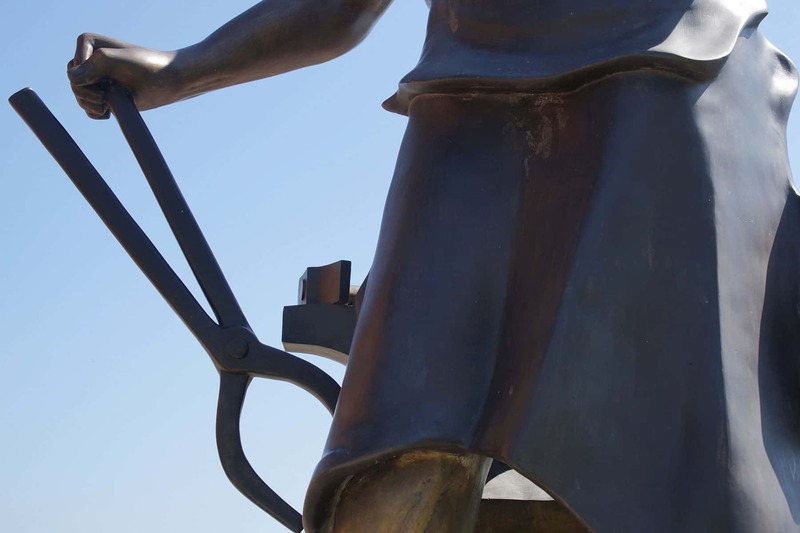 Standing an average of 9 feet tall with each weighing a thousand pounds, the engineering sentinels depict various forms of manual work from a commanding view of the city. 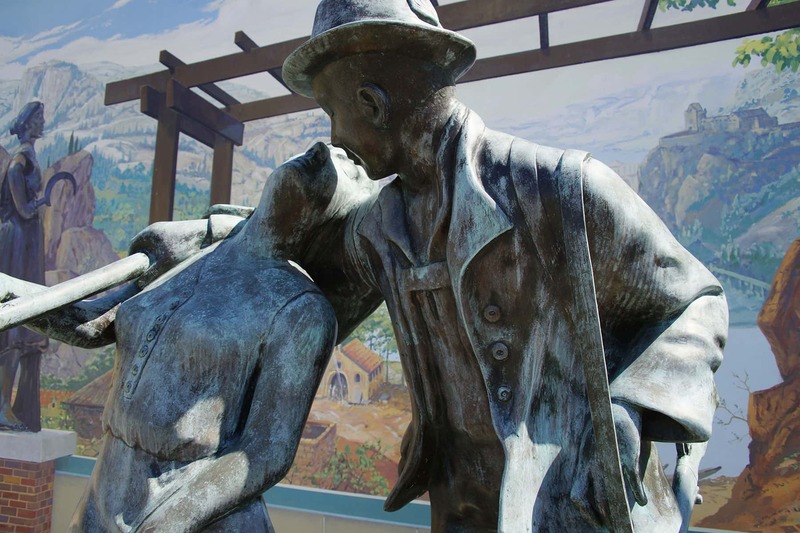 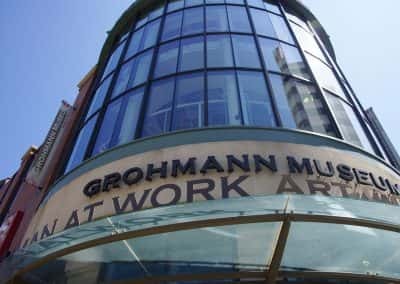 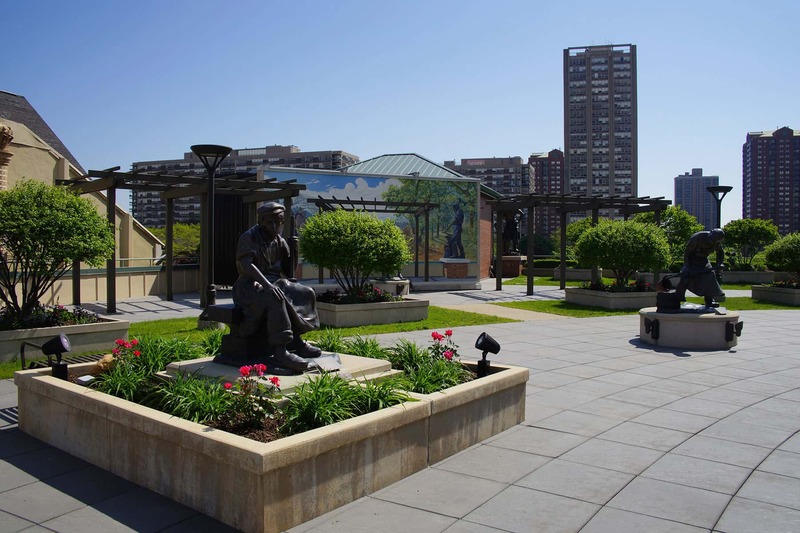 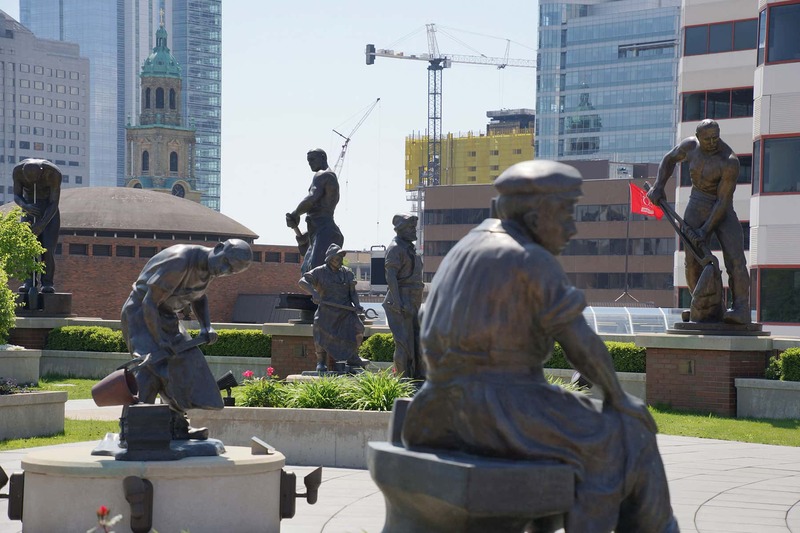 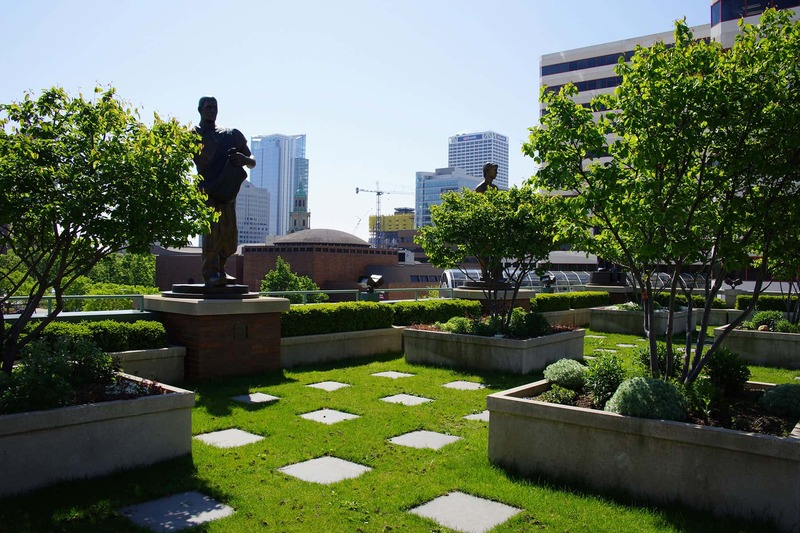 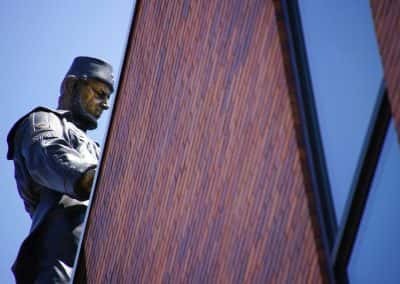 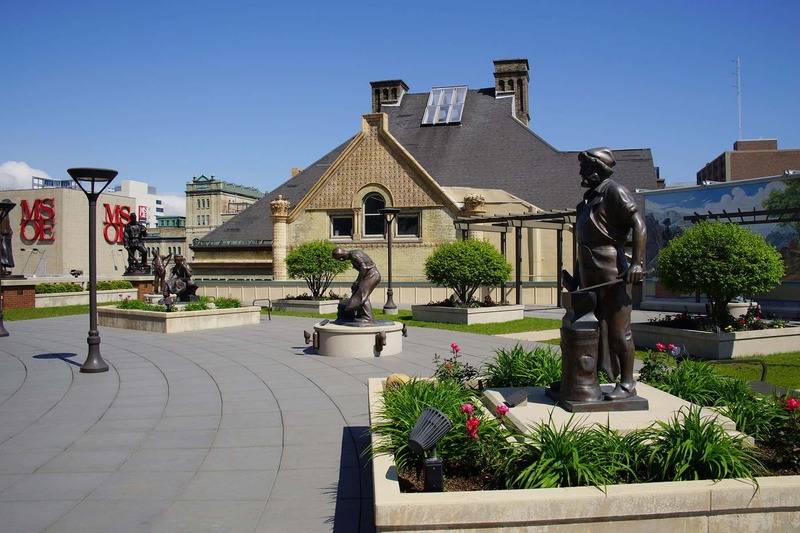 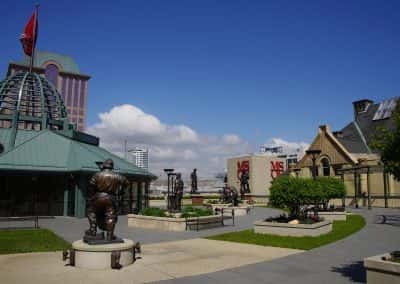 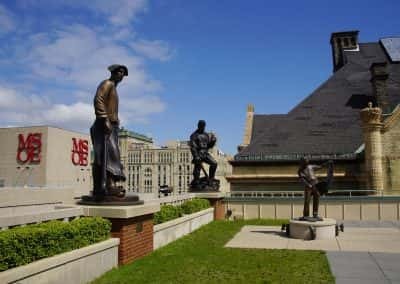 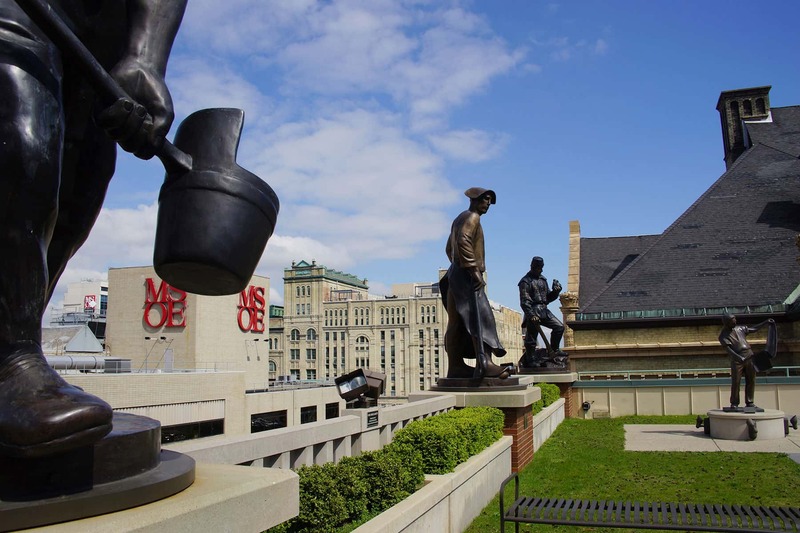 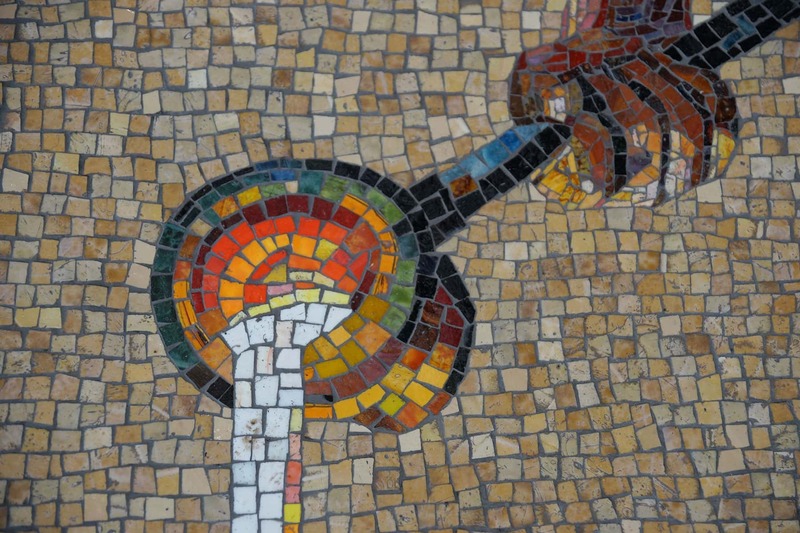 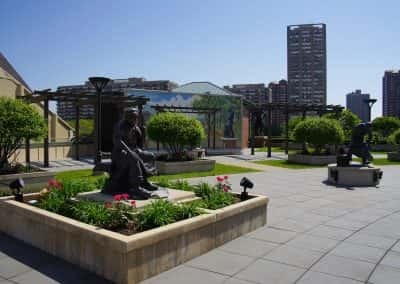 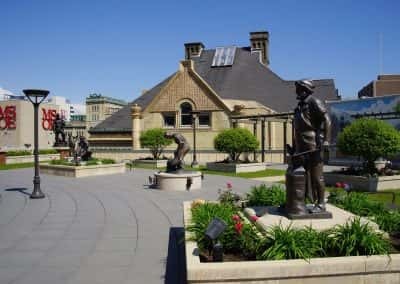 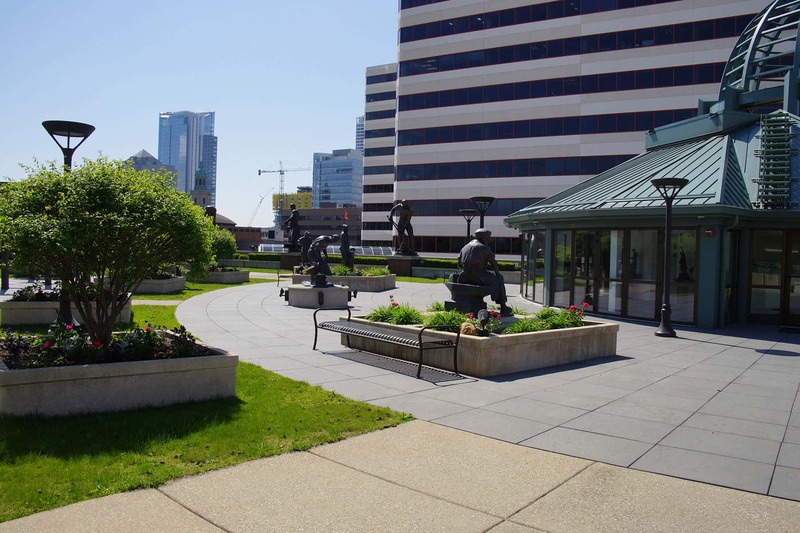 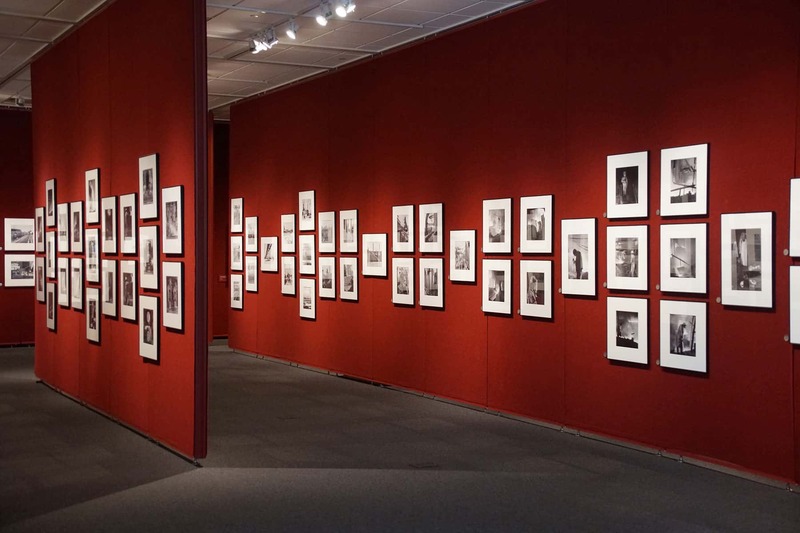 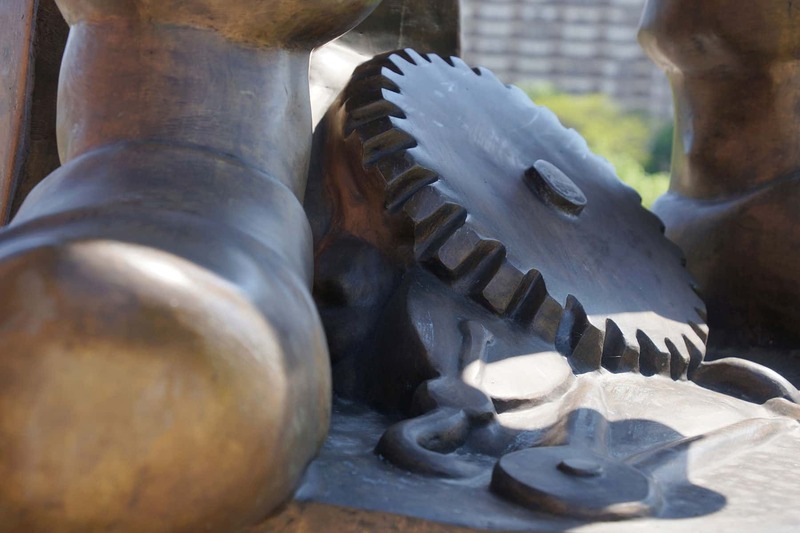 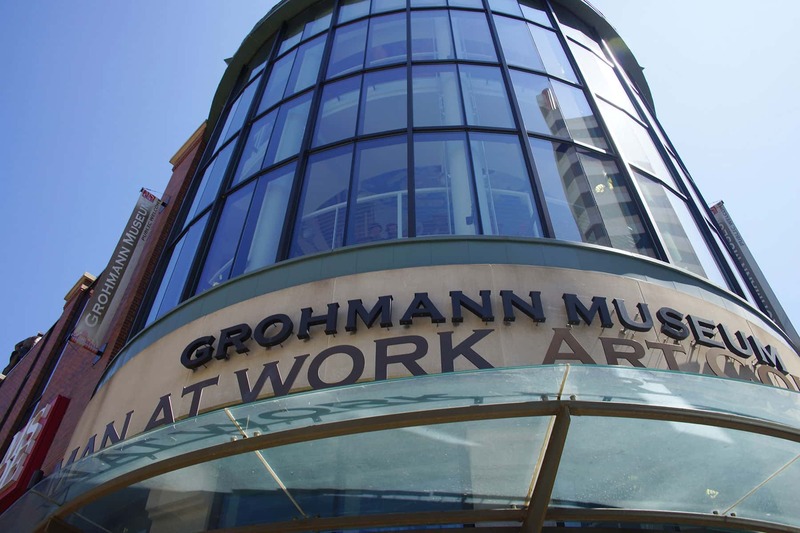 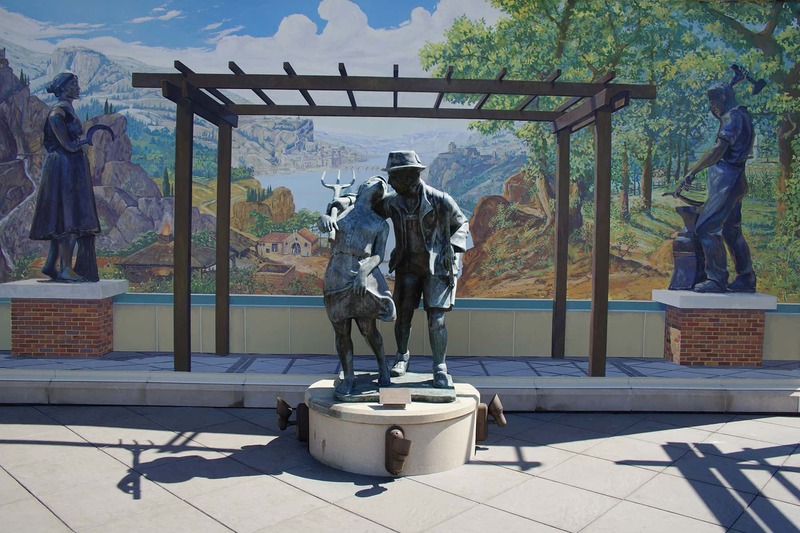 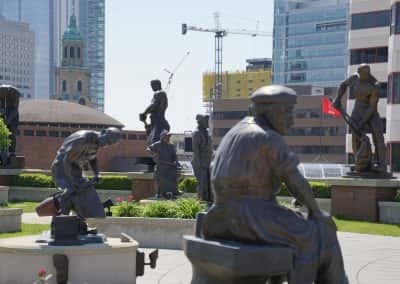 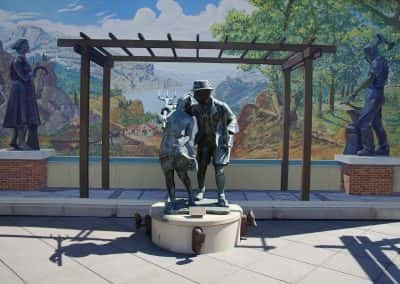 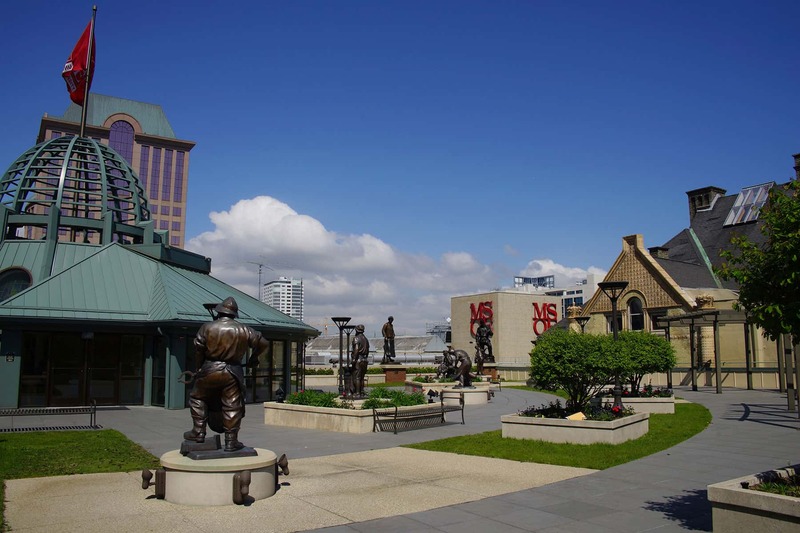 The rooftop sculpture garden is more than an extension of Dr. Eckhart Grohmann’s “Man at Work” art collection within the museum. 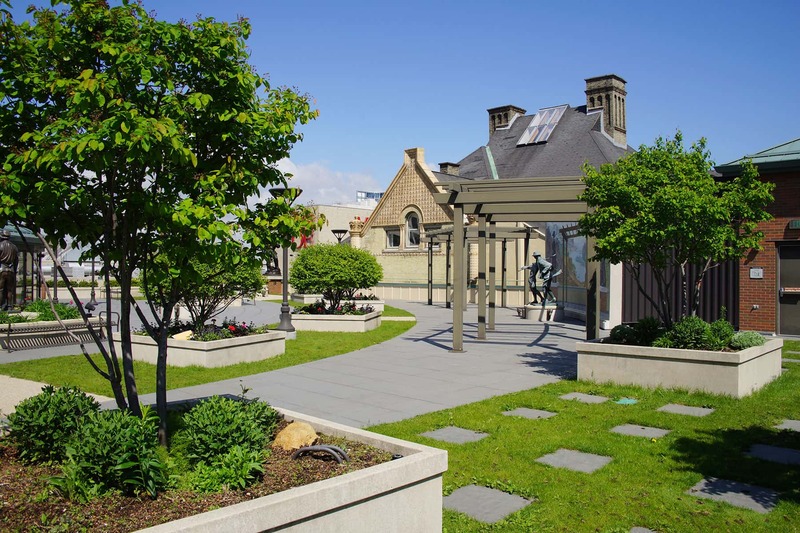 The Green Roof is an energy-saving and environmentally friendly alternative to a conventional rooftop. 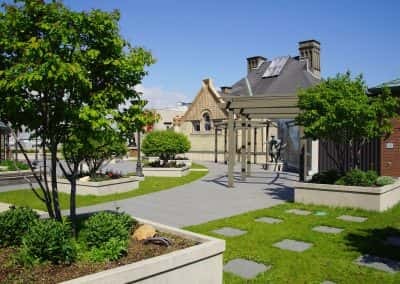 The plant and grass-covered roof keeps the building cooler in the summer, saves energy, and extends the useful life of the roof. 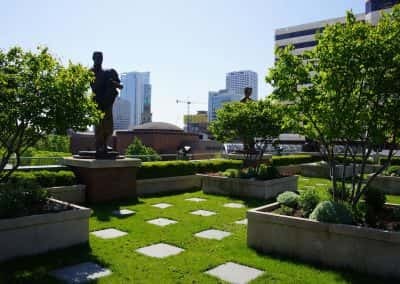 Rainwater is also trapped in the plantings, reducing the amount of storm water runoff that enters the city’s sewer system. 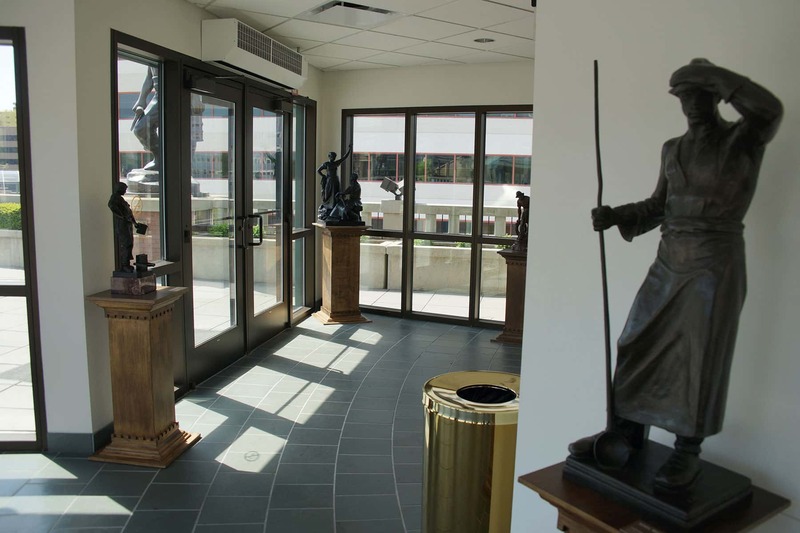 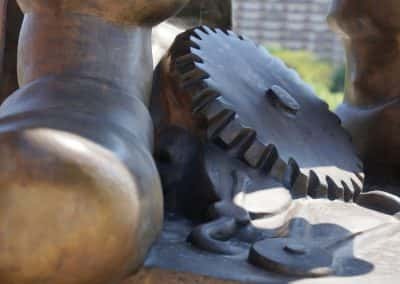 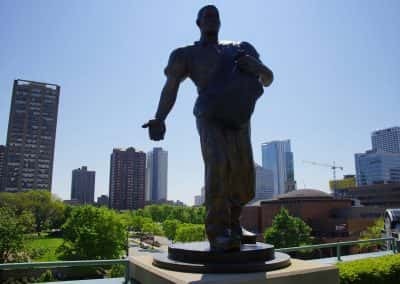 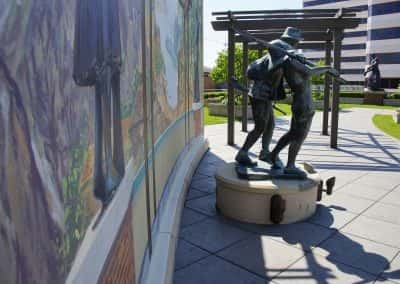 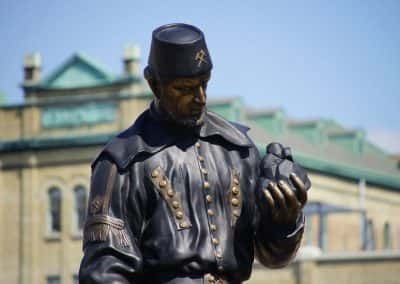 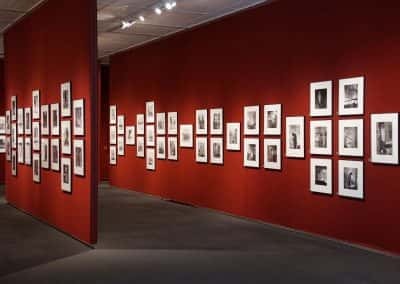 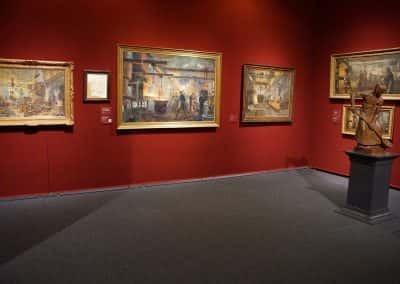 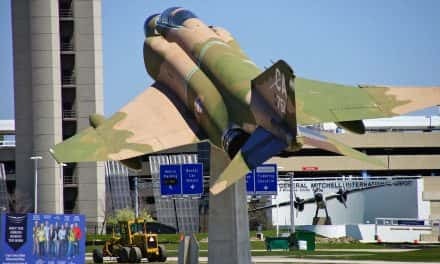 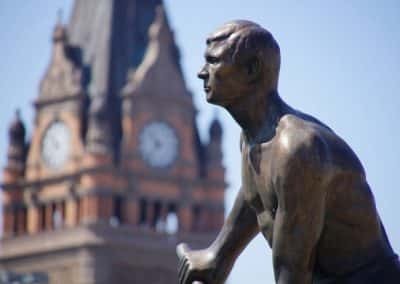 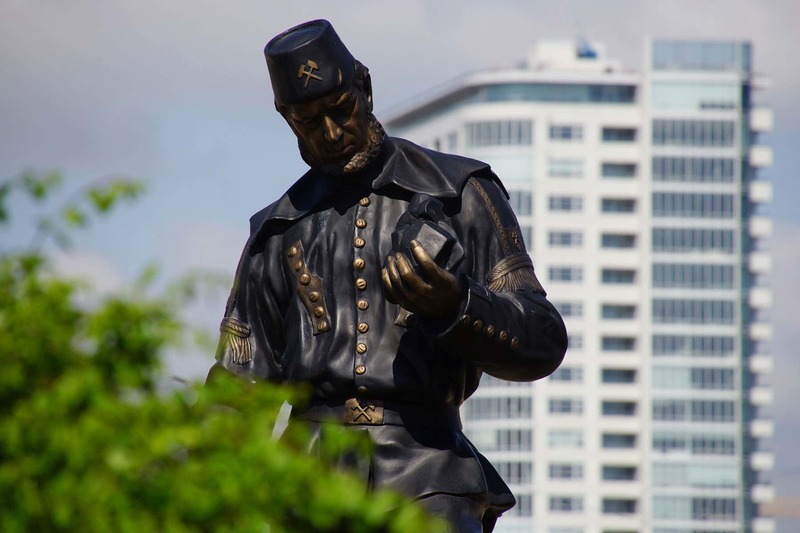 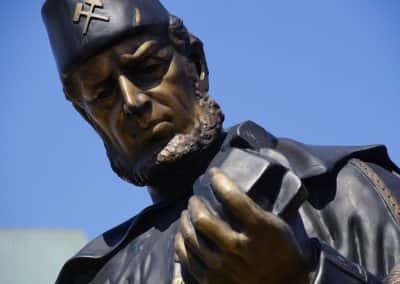 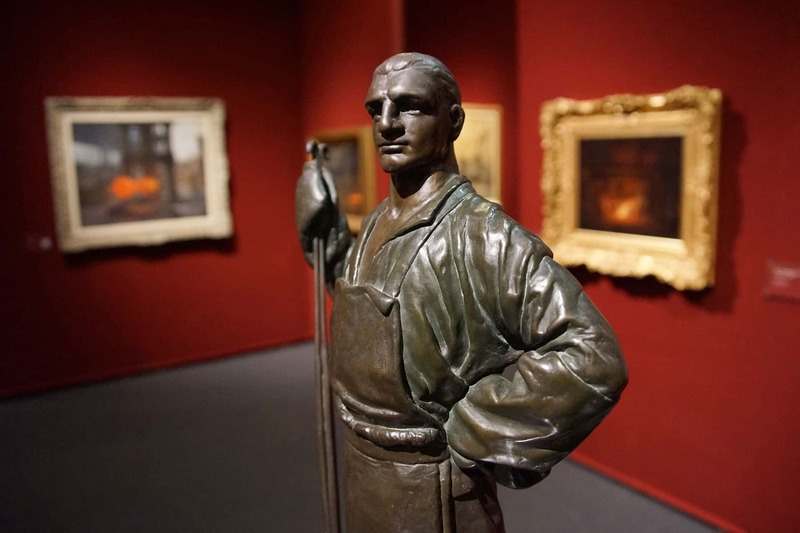 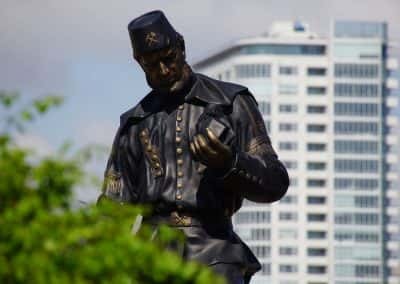 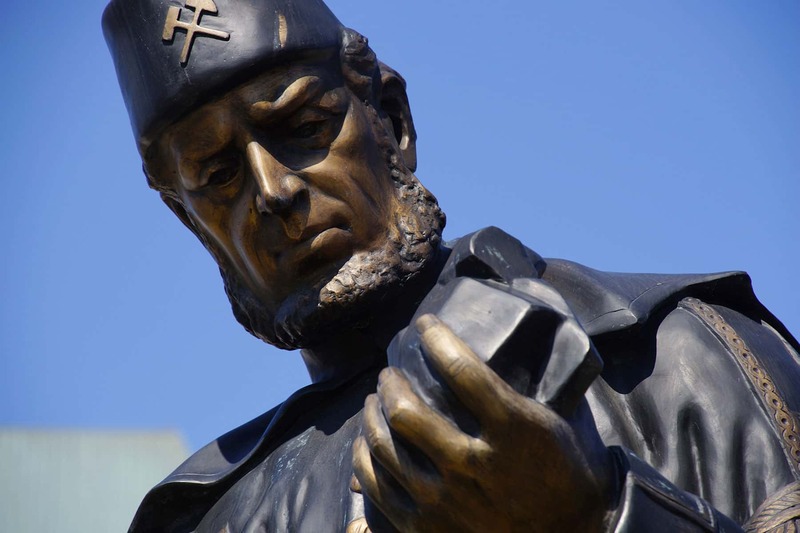 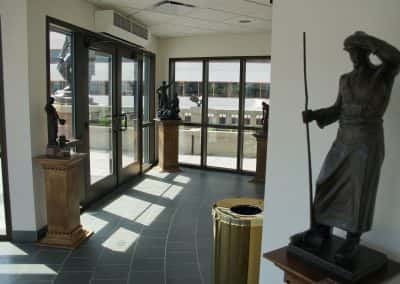 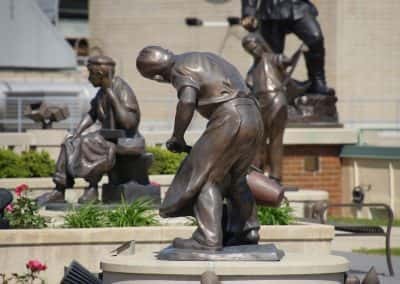 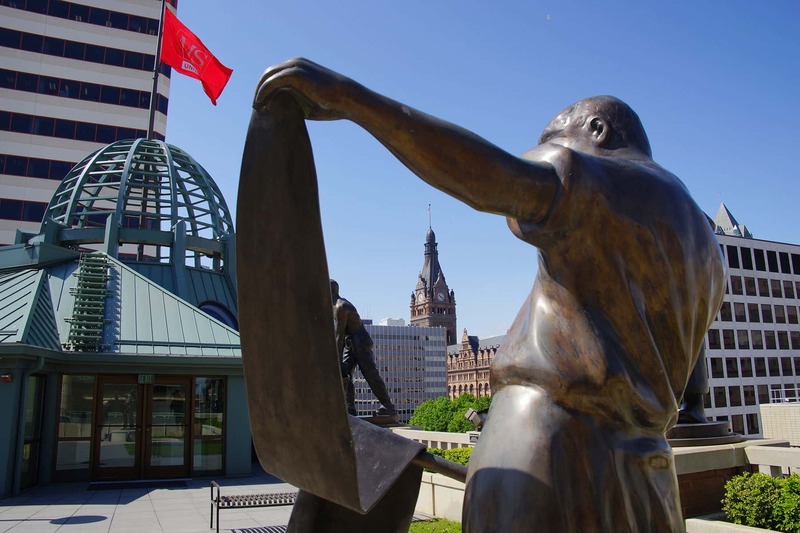 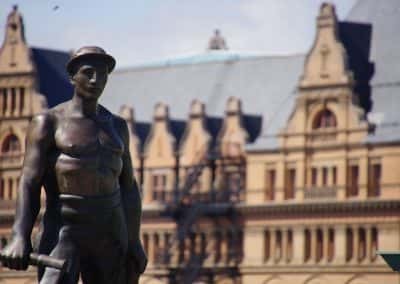 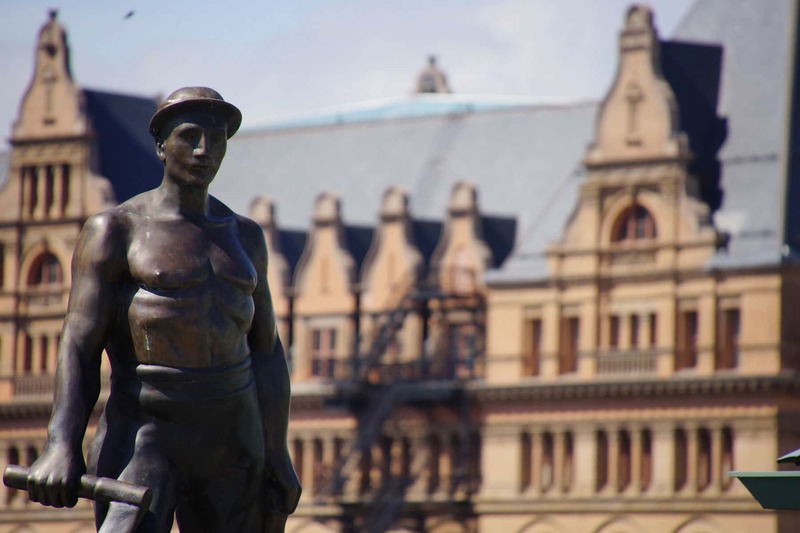 The commissioned sculptures are replicas of smaller bronzes from Dr. Grohmann’s personal art collection, which were fabricated through lost-foam casting. 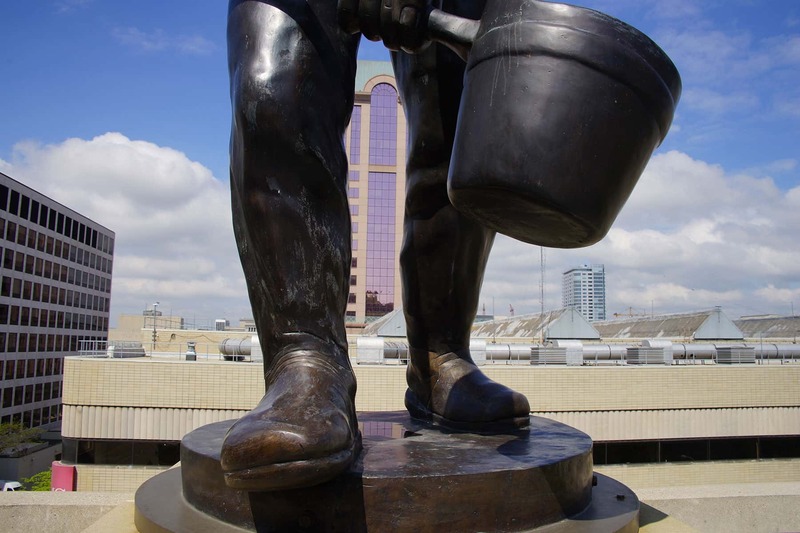 The process transformed the statues from their original size of about 19-inches to larger-than-life scale. 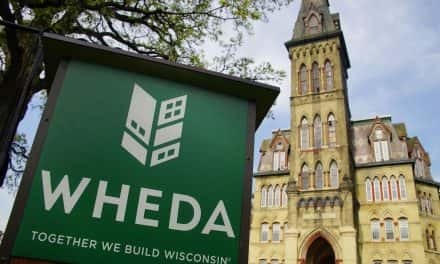 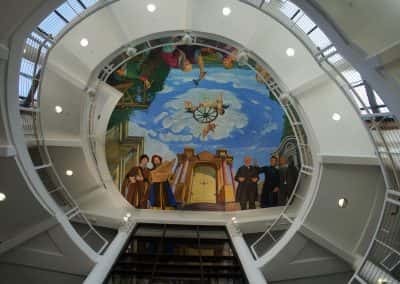 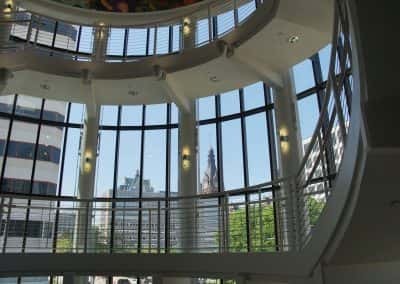 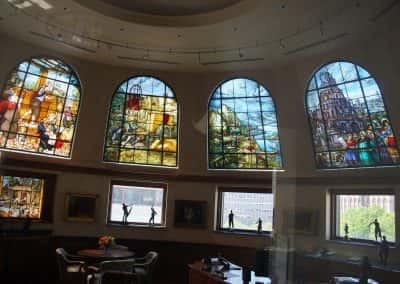 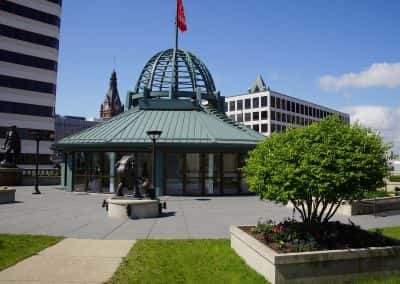 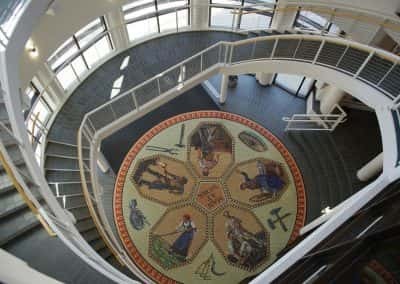 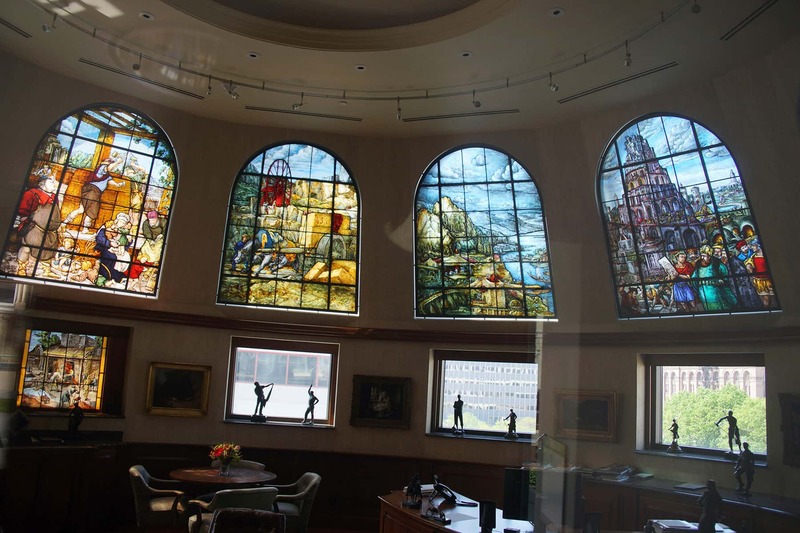 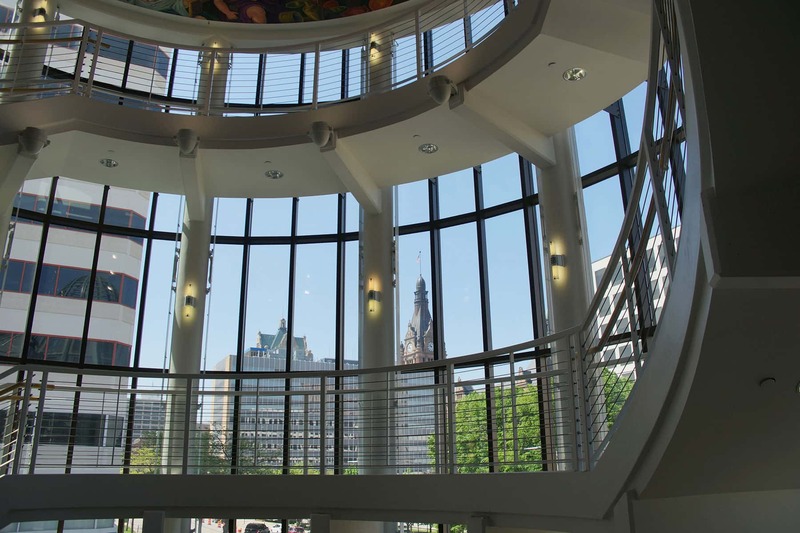 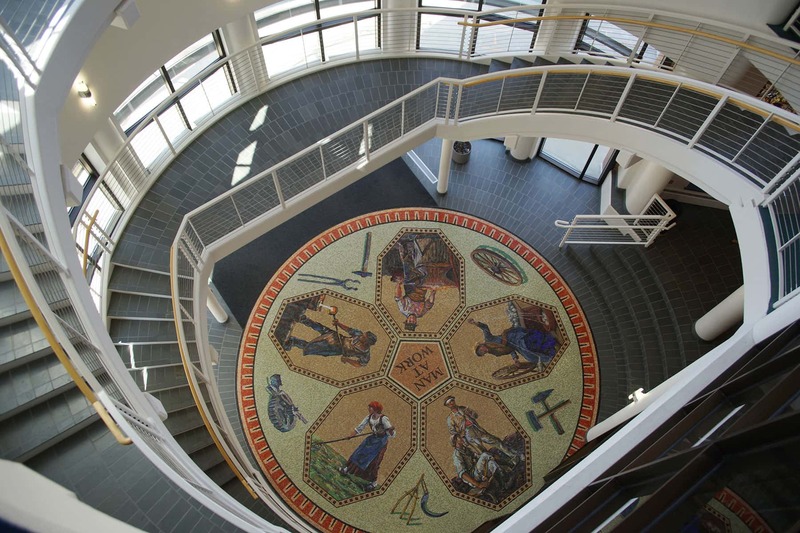 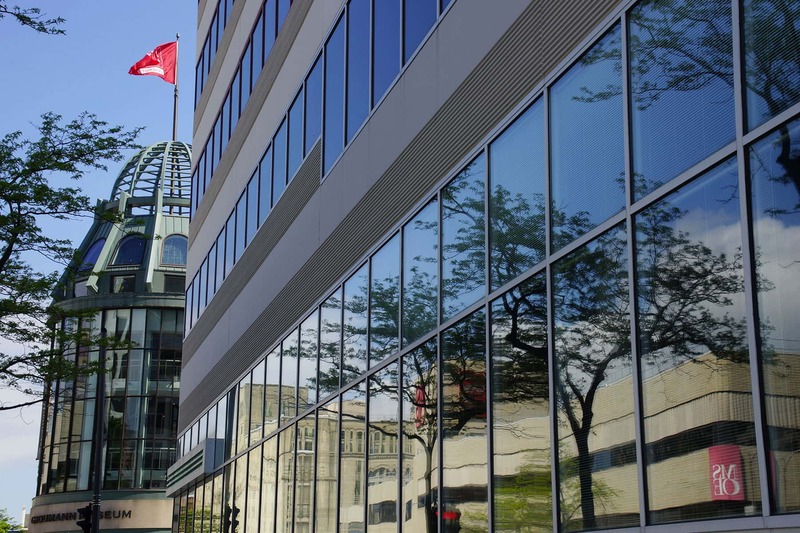 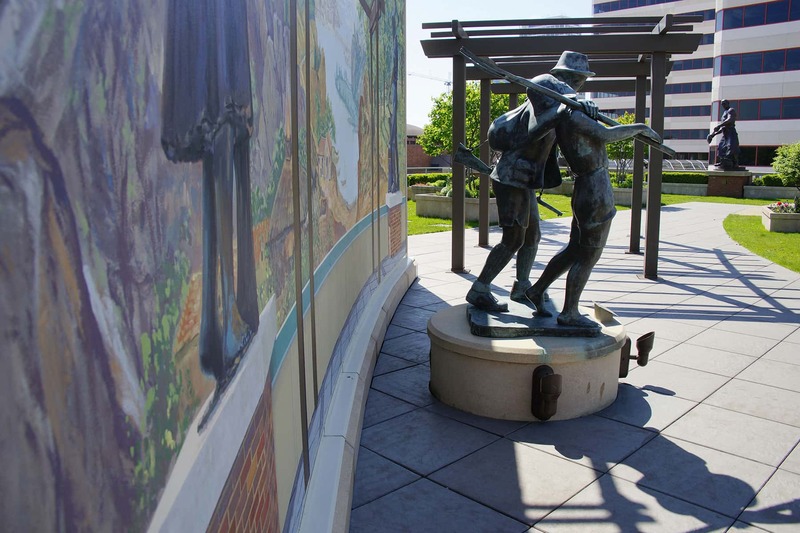 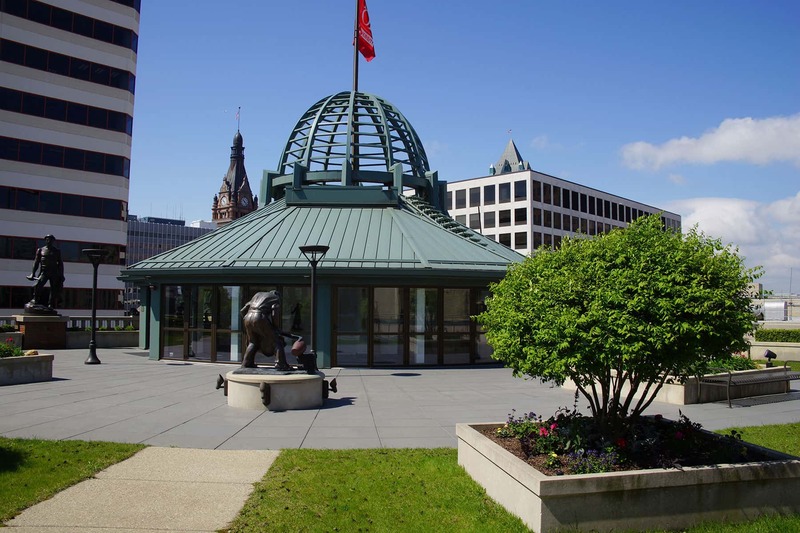 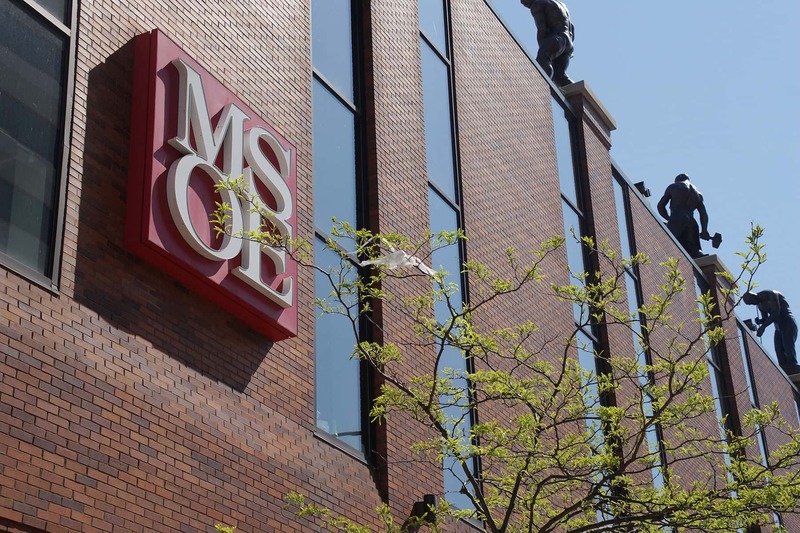 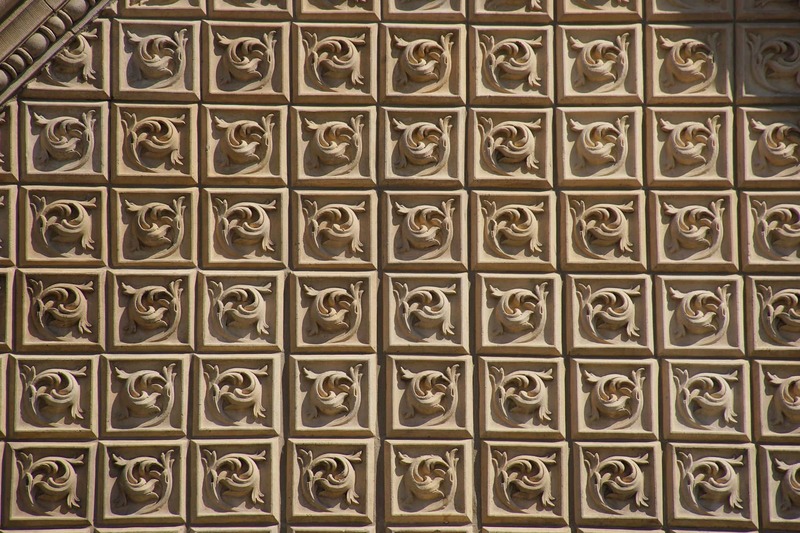 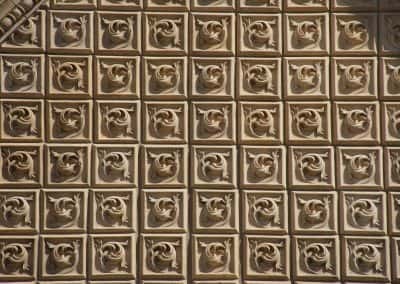 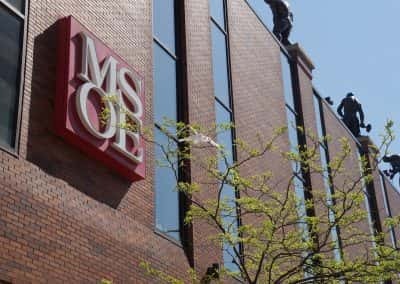 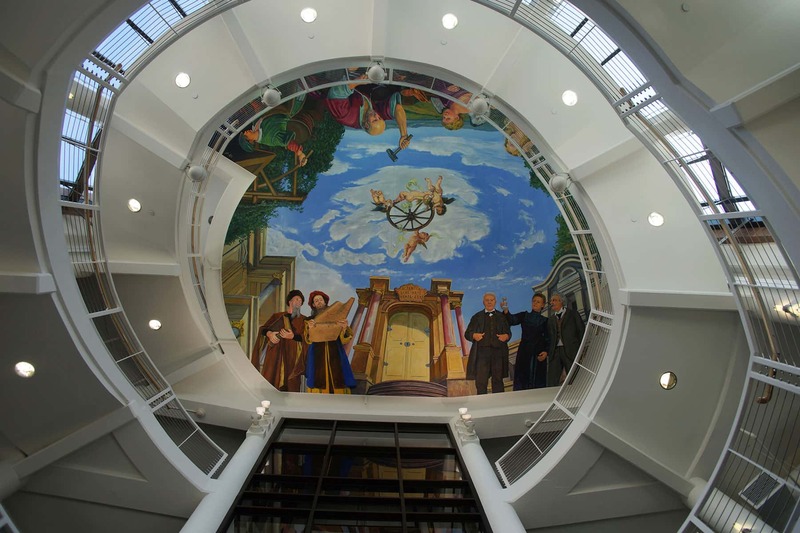 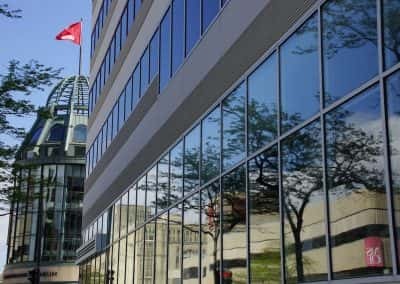 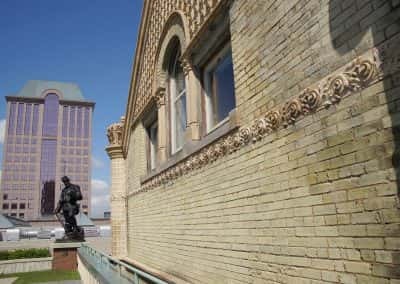 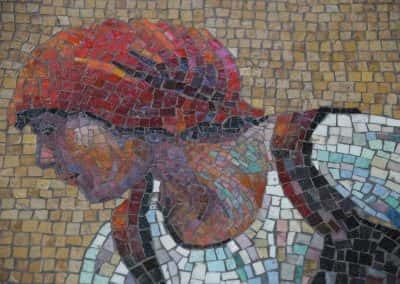 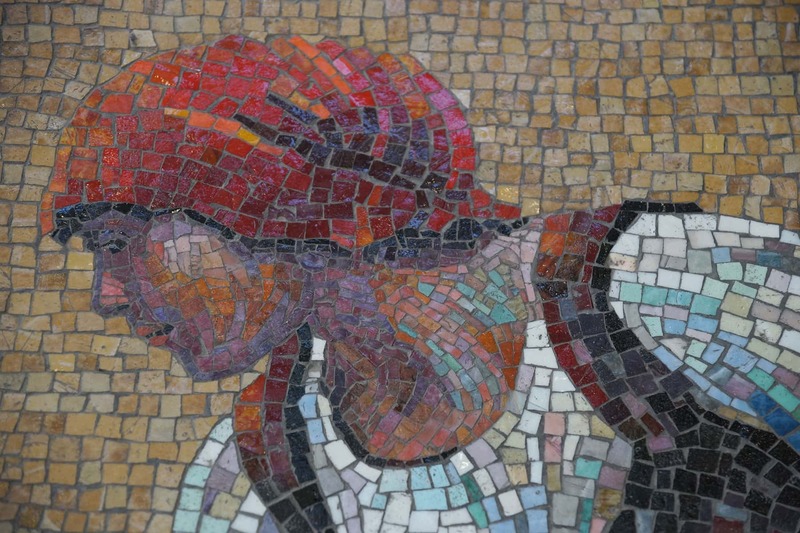 These images were taken just prior to the June 2 fundraising event for Phase II of Innovations & Wellness Commons, which also coincided with the launch of Sculpture Milwaukee, an inaugural project that lined Wisconsin Avenue with 23 world-class works of street art.